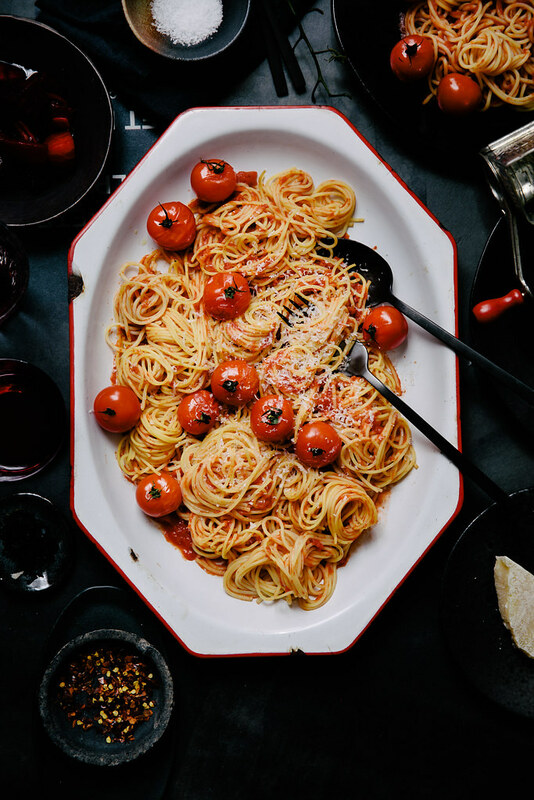 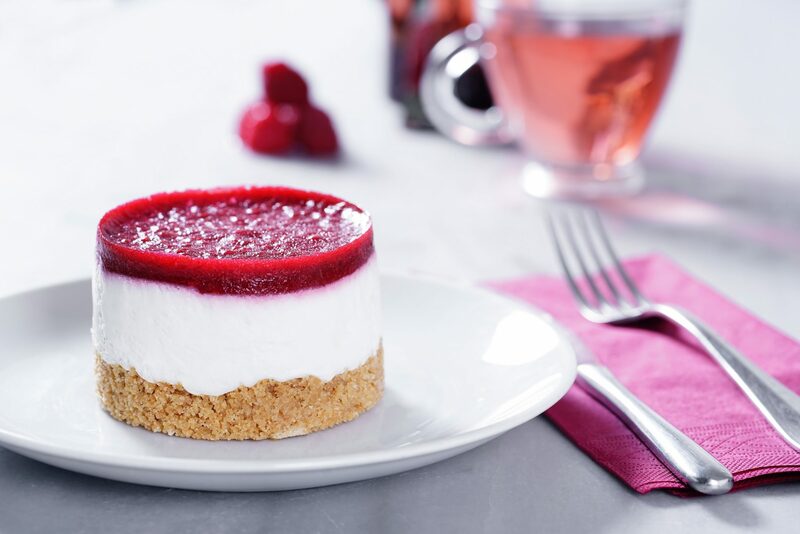 It's not only delicious but also very beautiful. 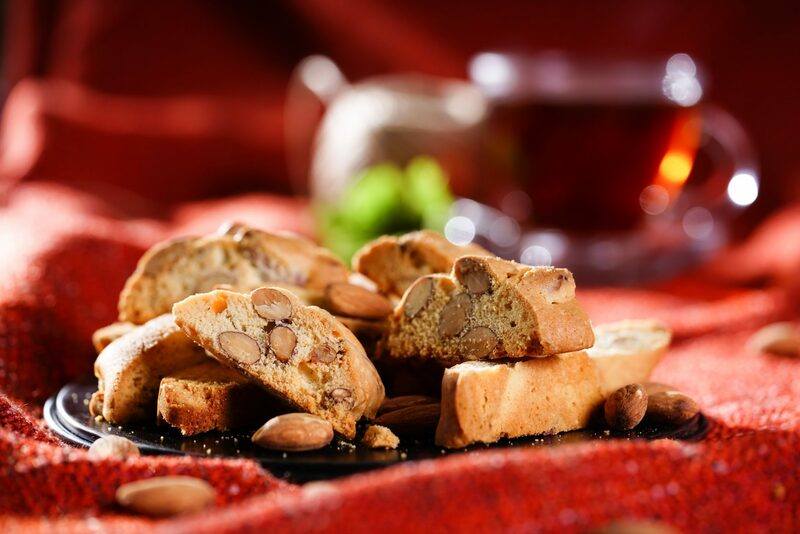 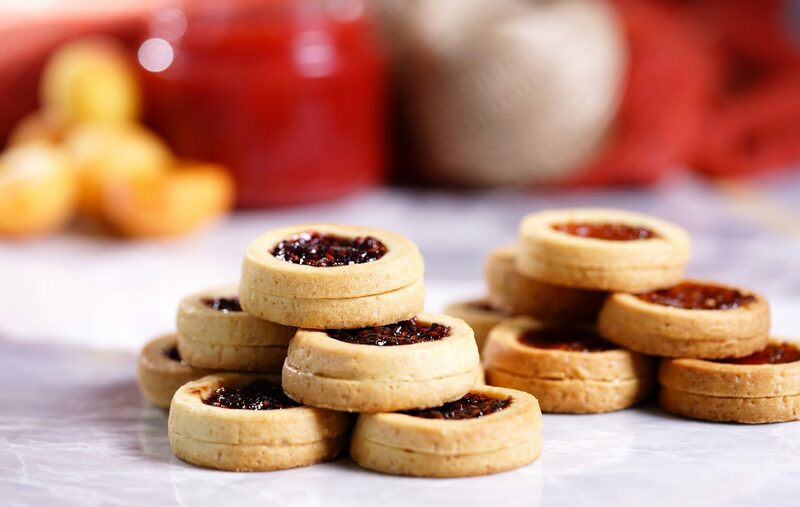 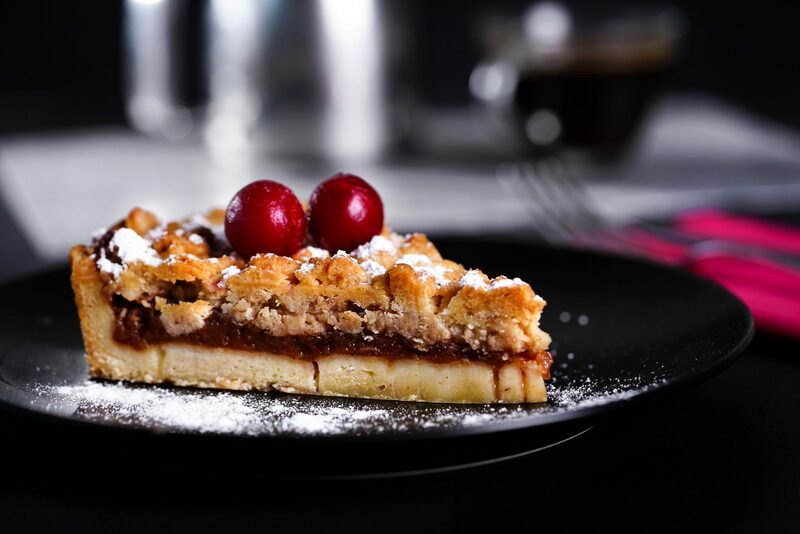 A unique and pleasant taste of the croquant of hazelnuts and almonds, which is our own production. 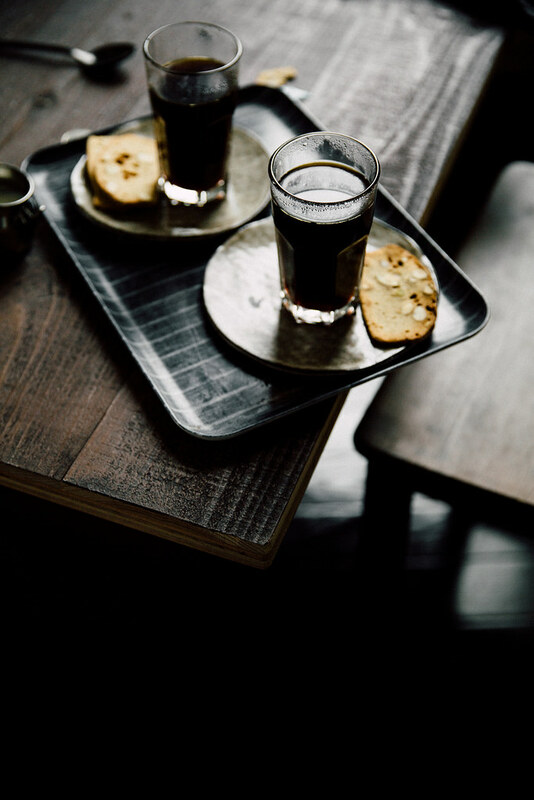 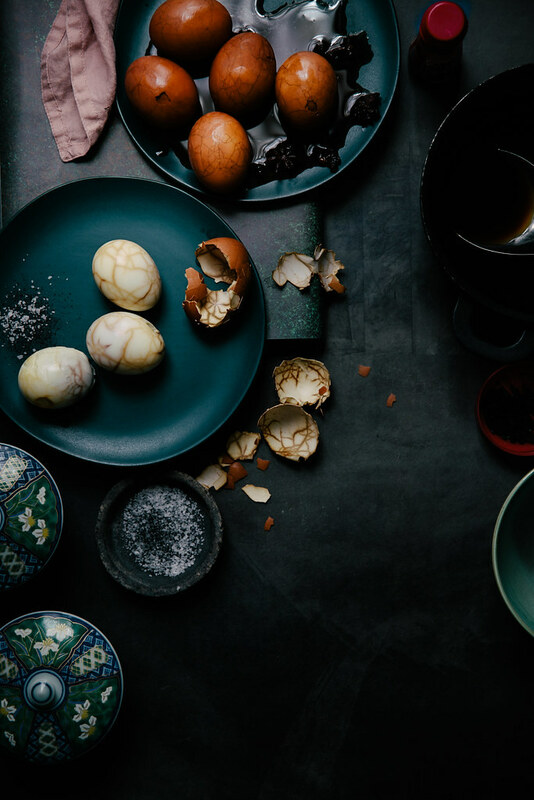 A type completely identified with us, a taste specific to us. 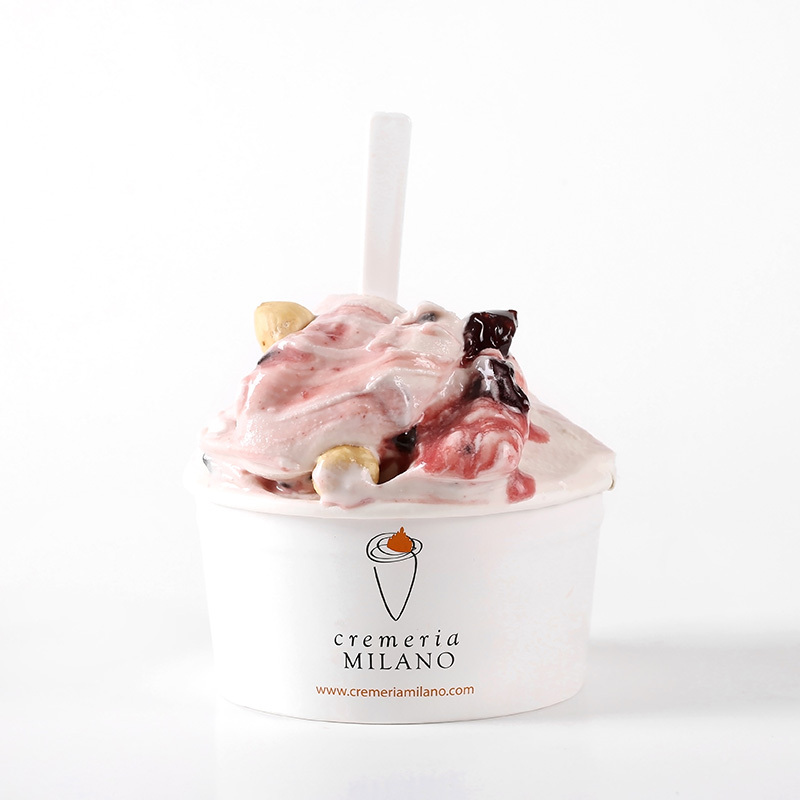 Dark chocolate, hazelnut and cherries combined with fior di latte cheese. 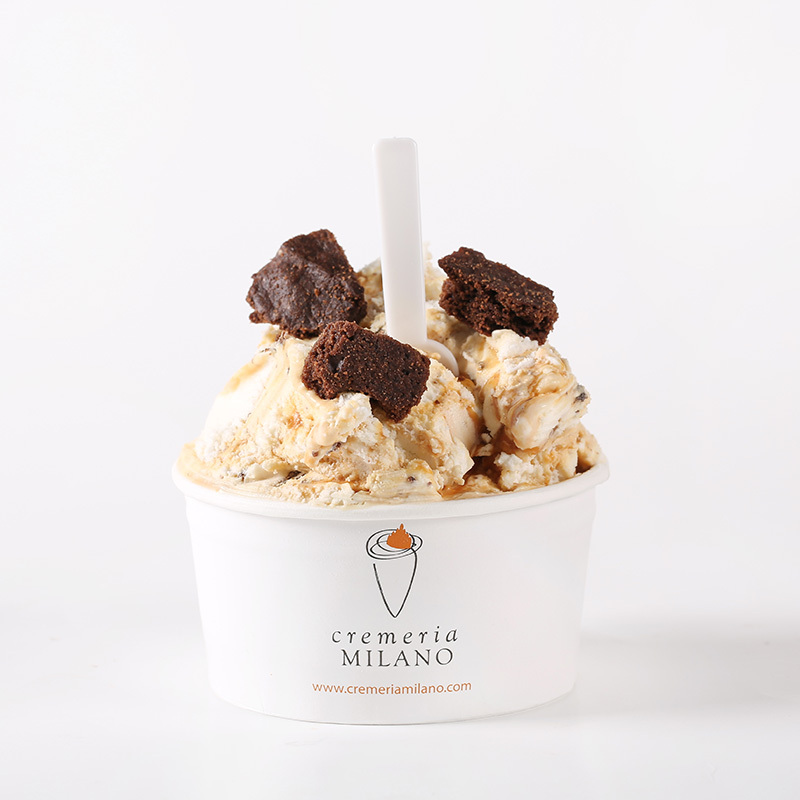 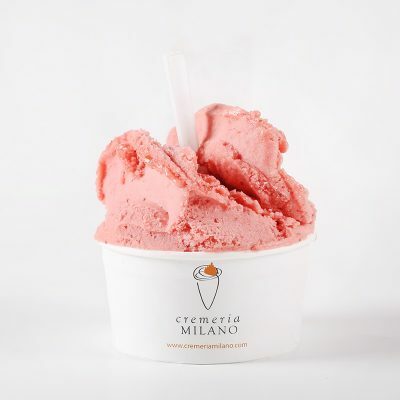 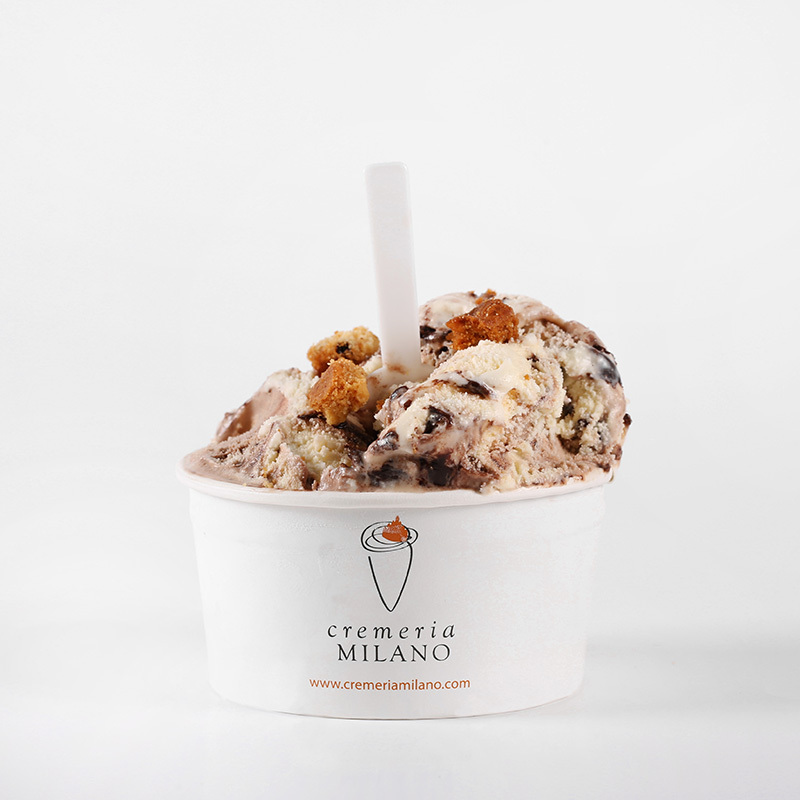 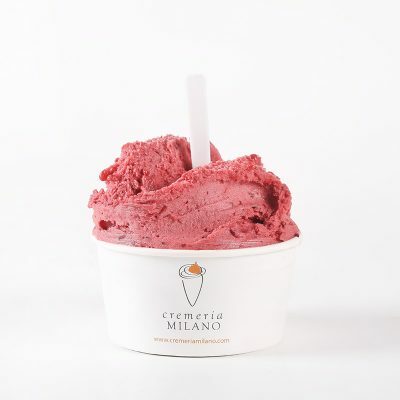 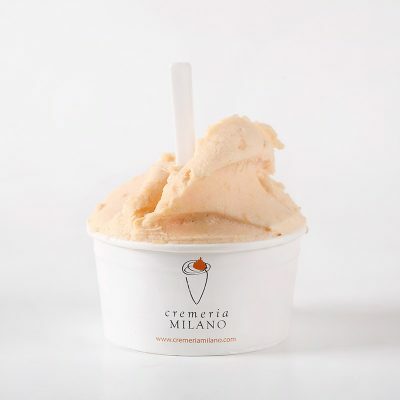 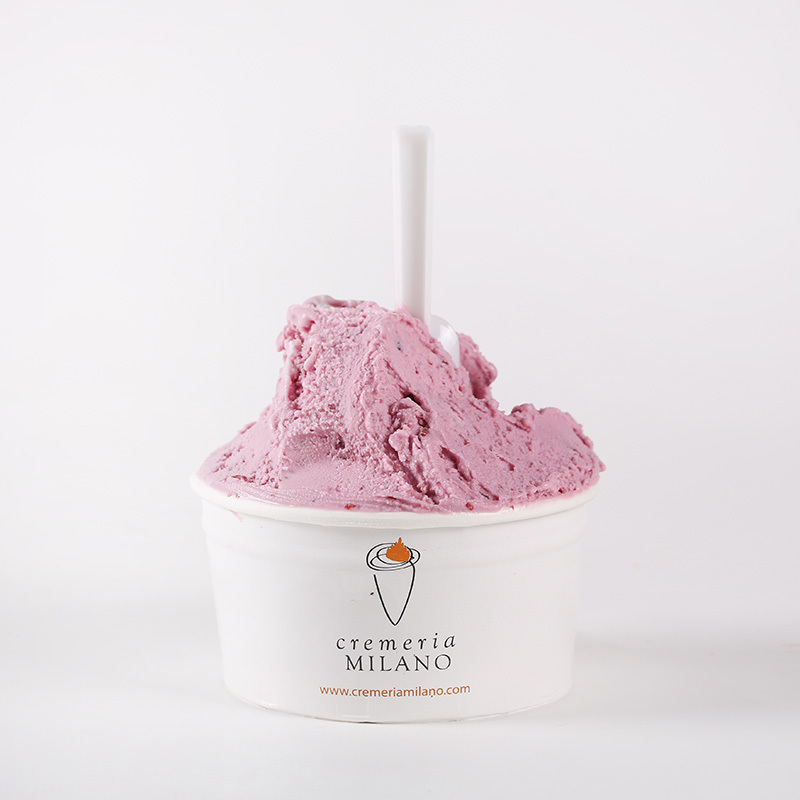 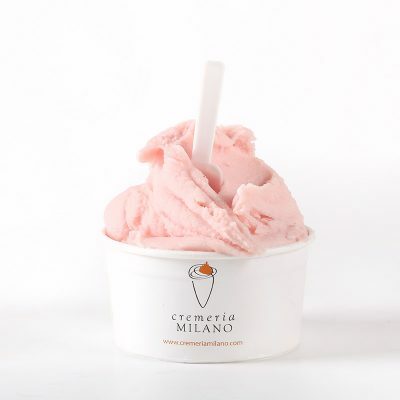 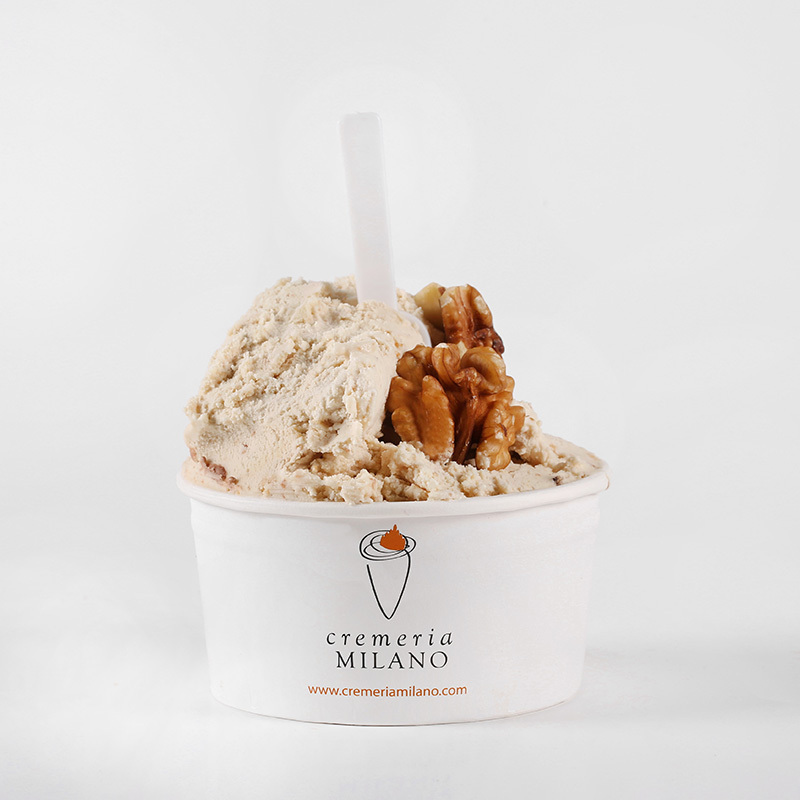 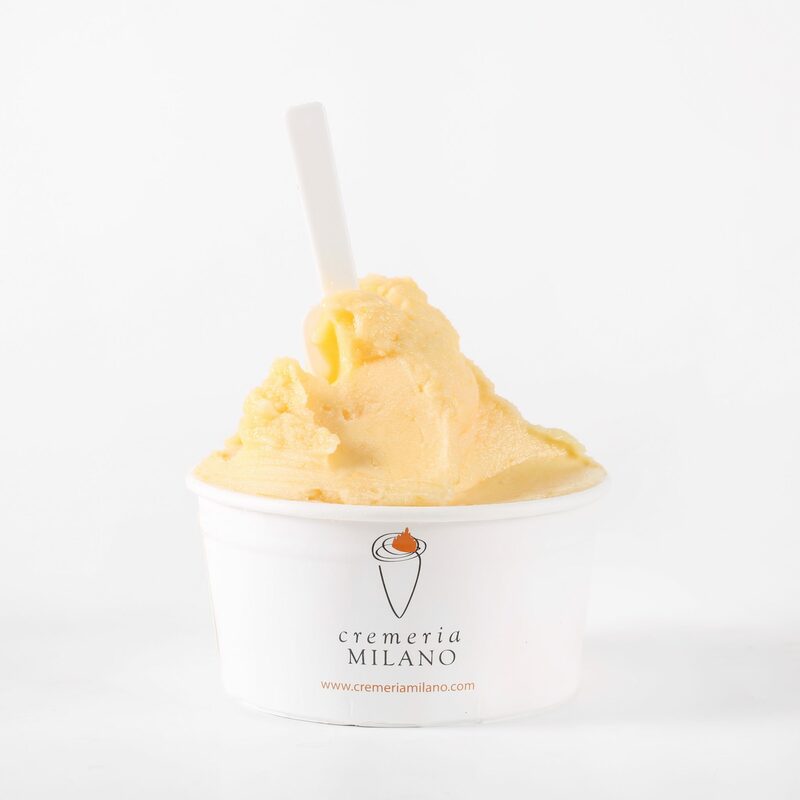 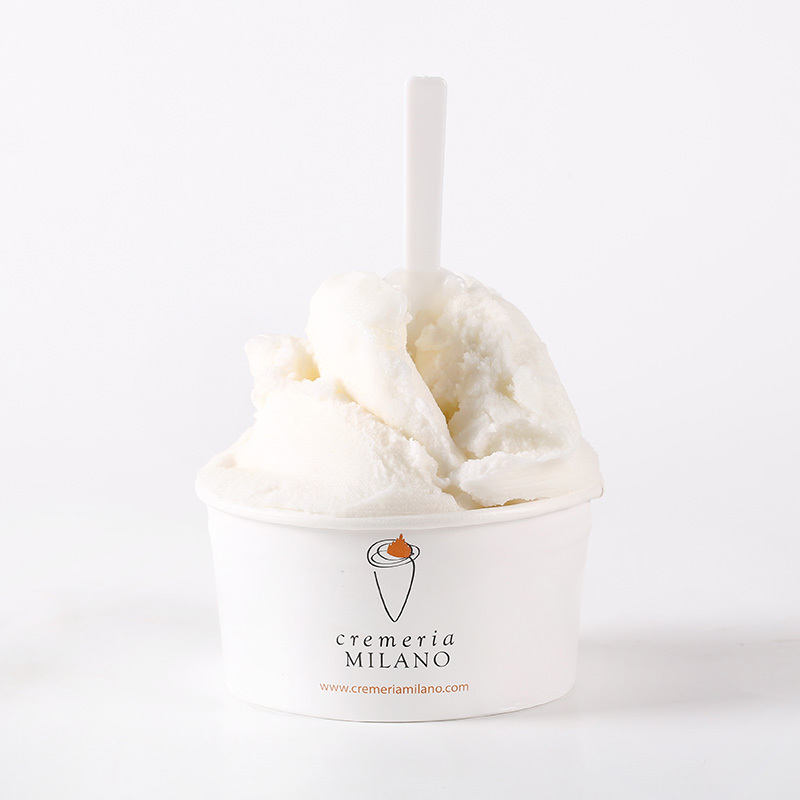 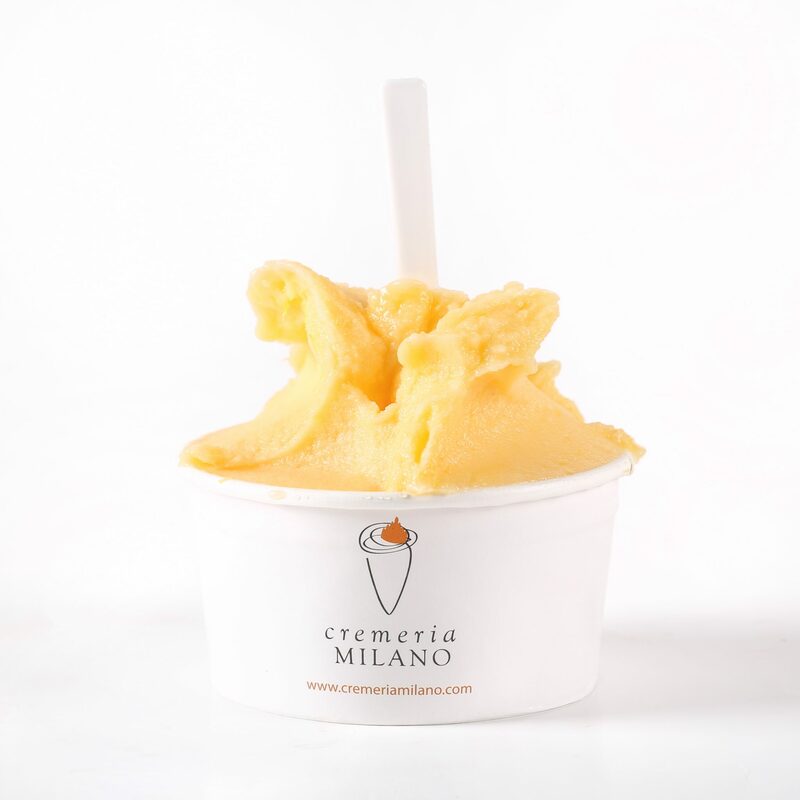 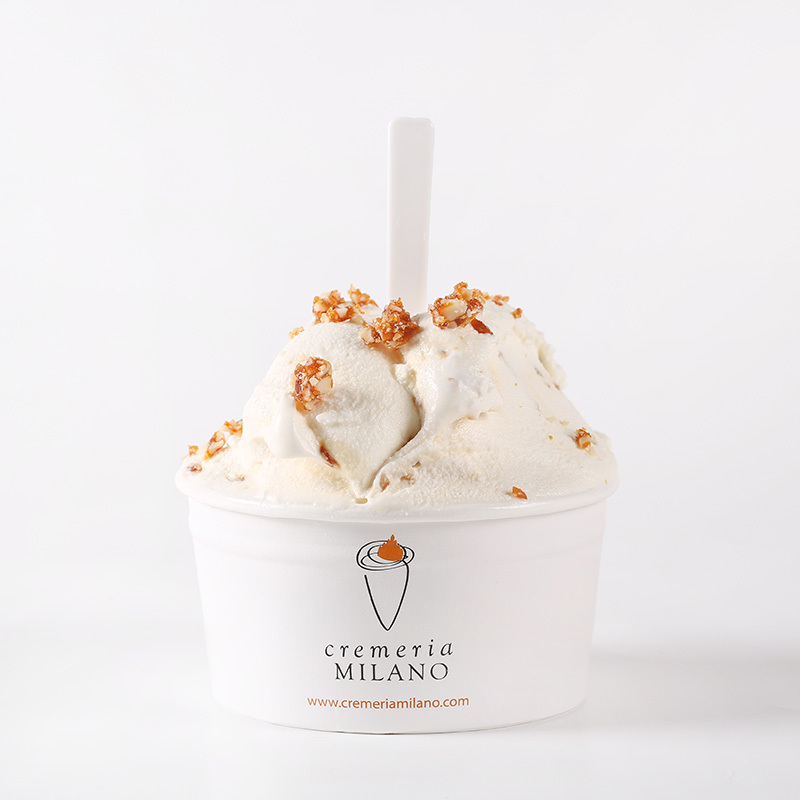 The legend taste of Cremeria Milano. 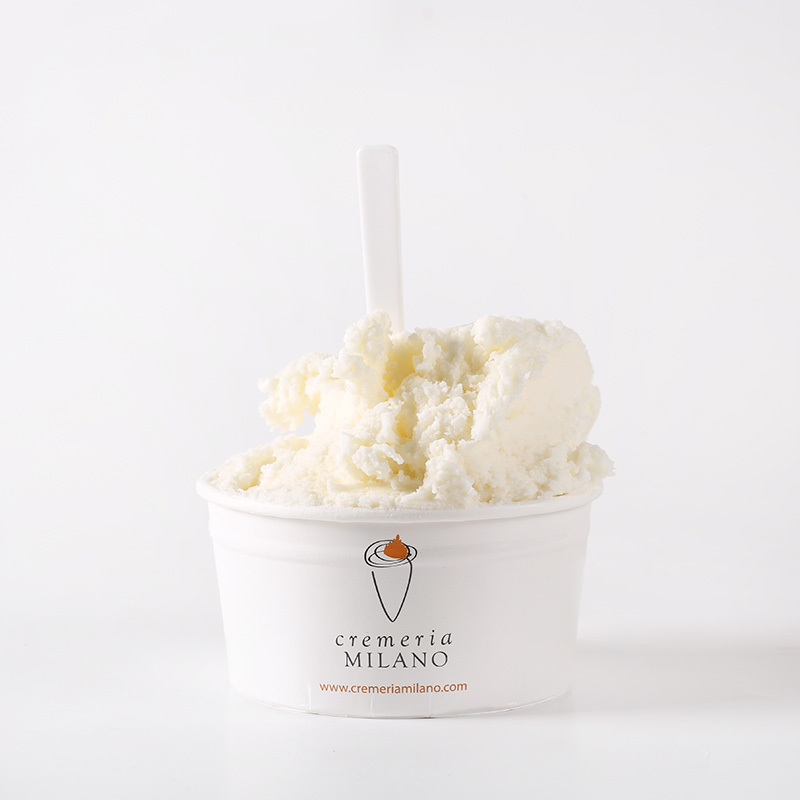 A taste based on the highest quality whole milk, sugar and crème fraiche. 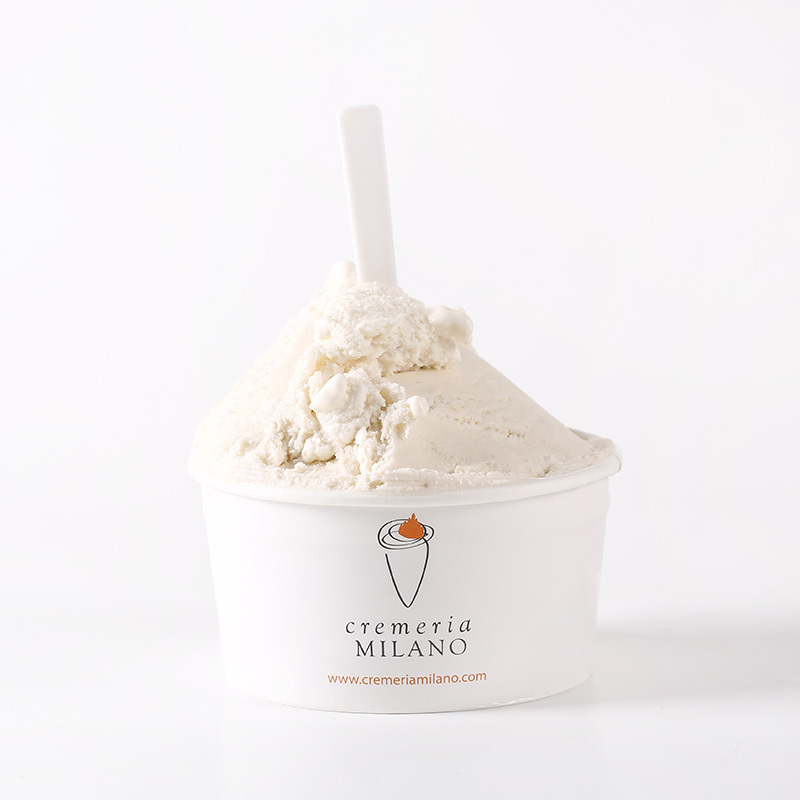 You can taste this intensive tropical cream in all seasons. 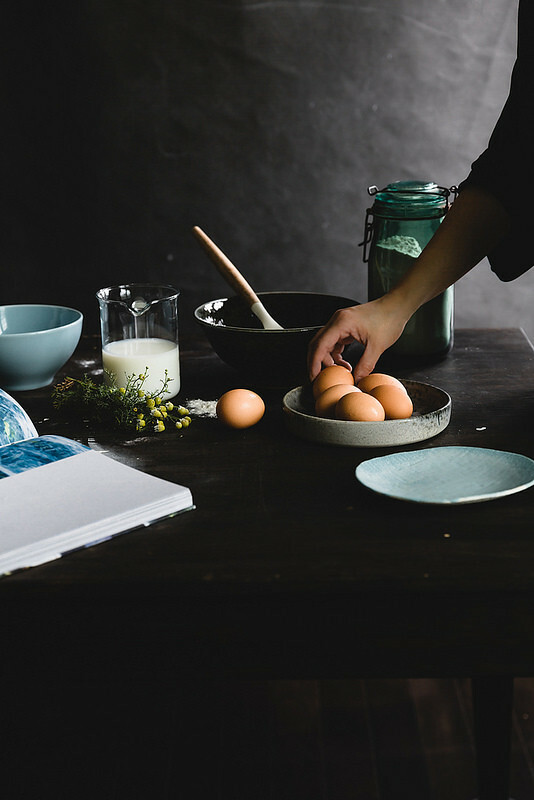 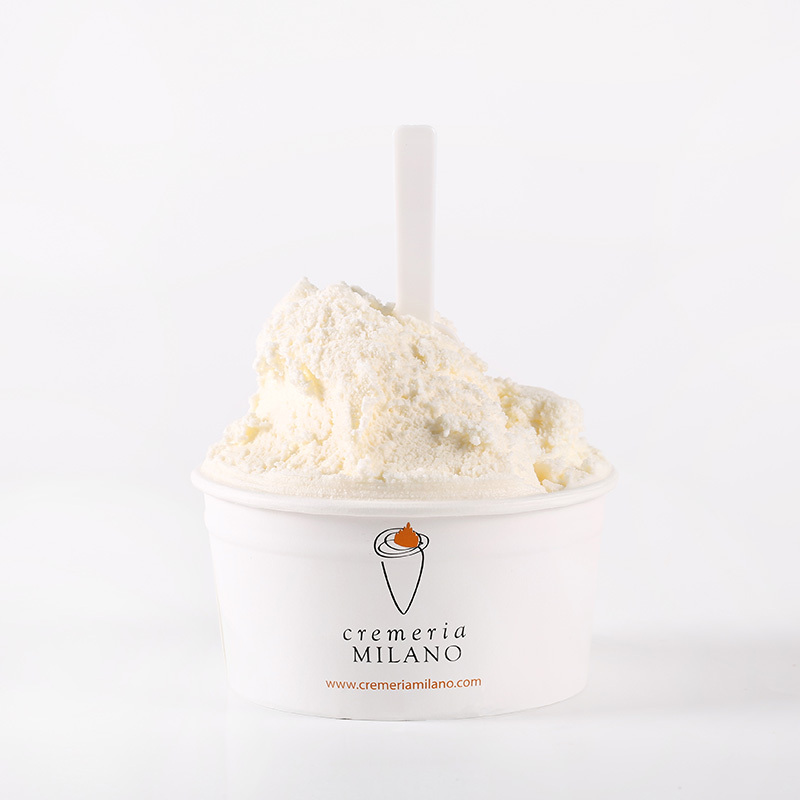 Whole milk, sugar, cream and plenty of egg yolk combined with the vanilla extract by which our cream is characterized. 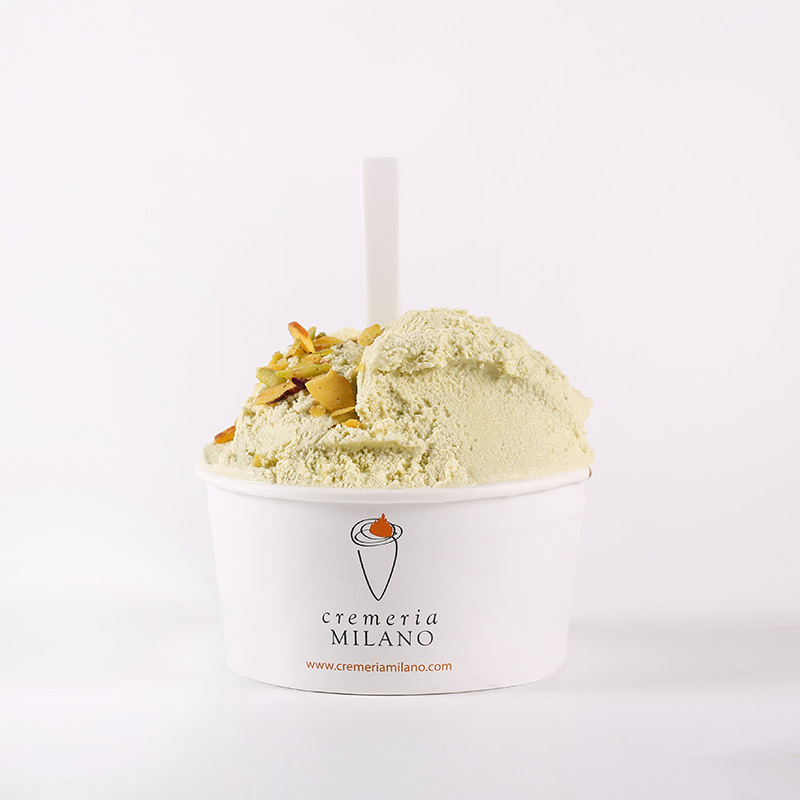 We prepare the creamiest ice cream with tropical taste using only coconut powder from the tropical countries to our parlors, whole milk, sugar and cream. 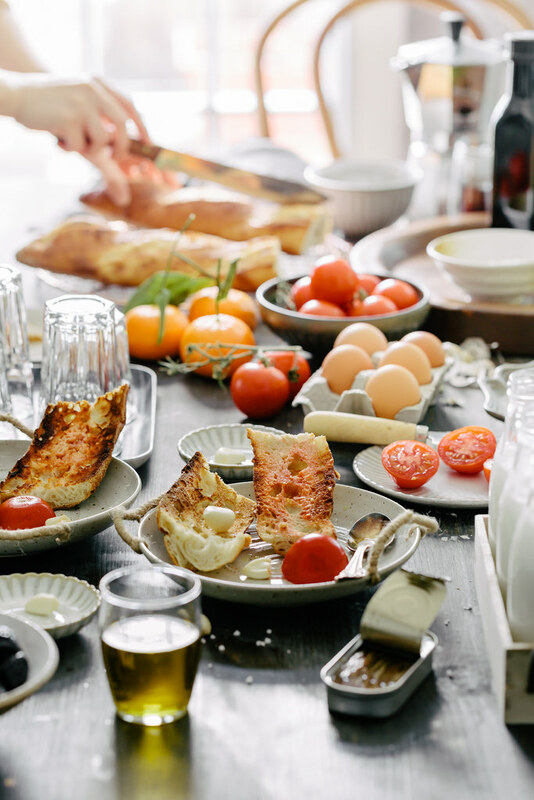 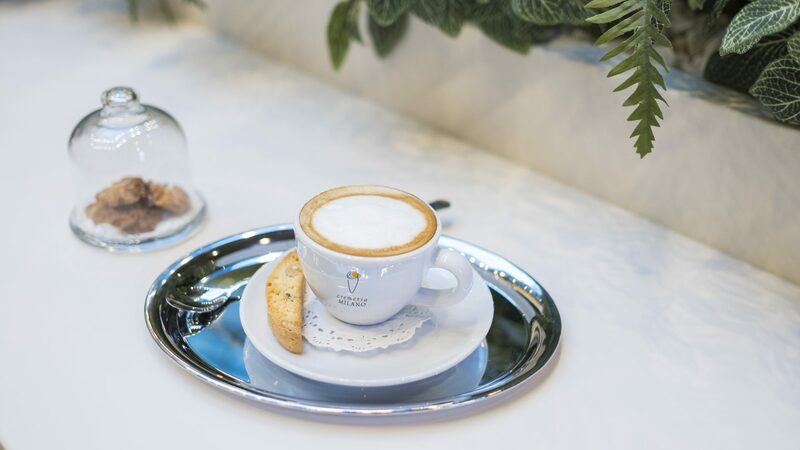 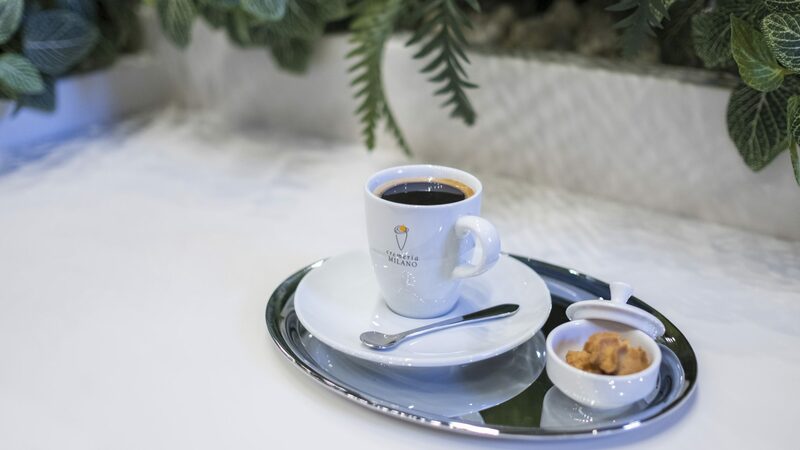 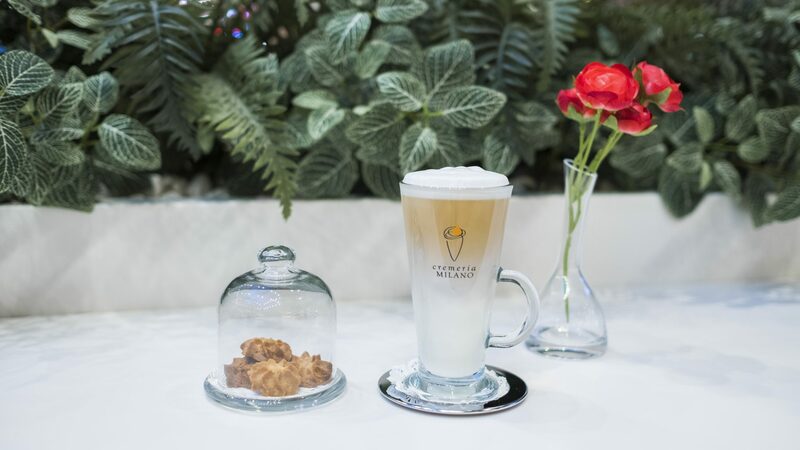 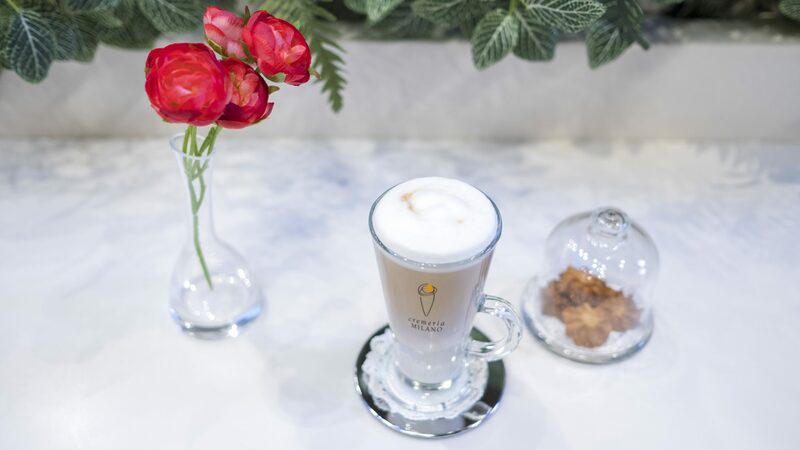 You will have a feeling of tasting the cappuccino you drank at the breakfast, but with a difference of a fresh and creamy texture. 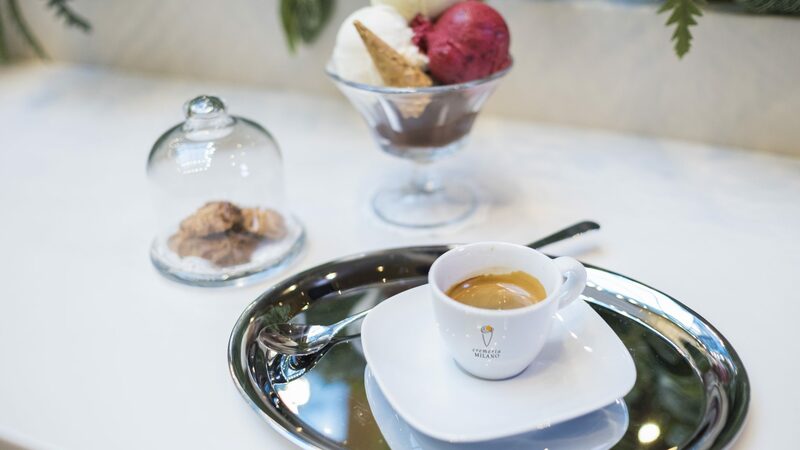 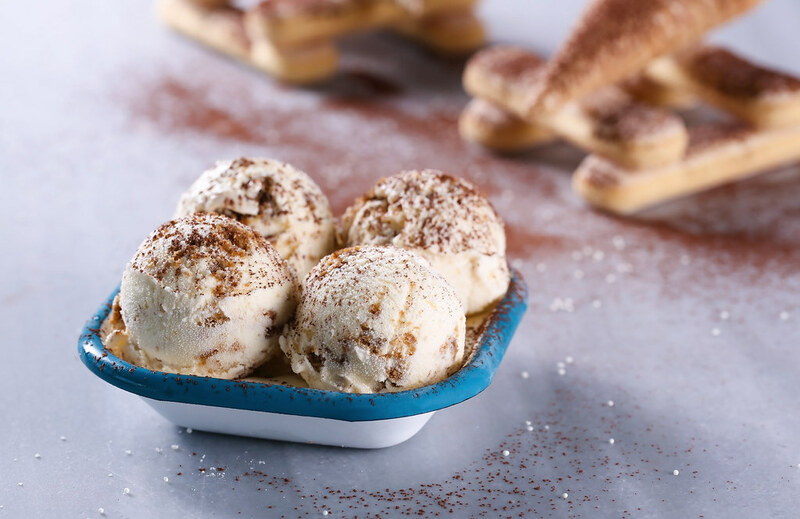 Milk and espresso along with other ice cream ingredients gives an alternative touch to the ice cream. 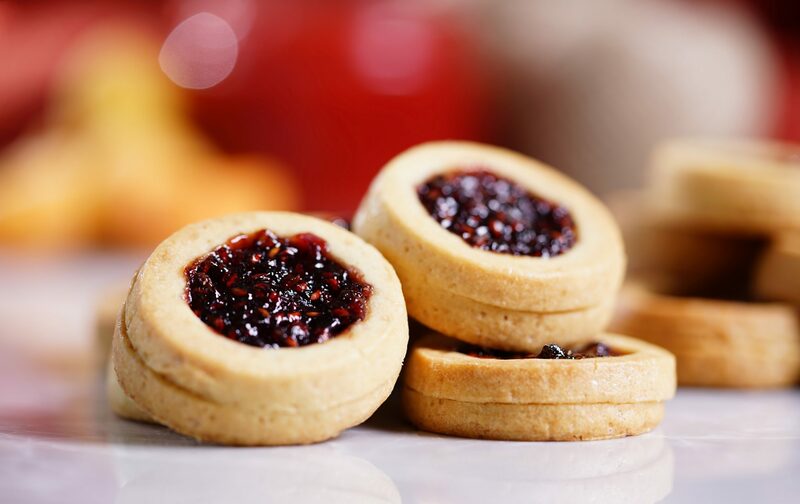 Summer wonder for dried fruit lovers. 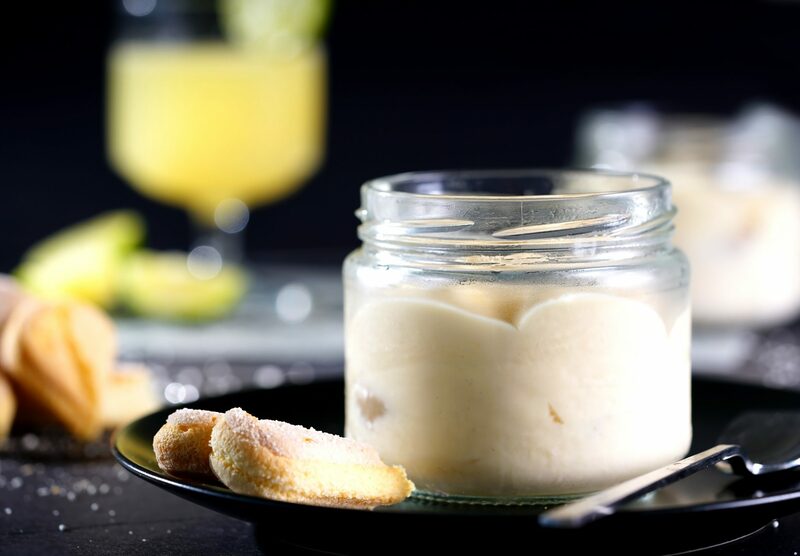 A creamy, delicious taste to make you feel the flavors of distant lands with its oriental tones. 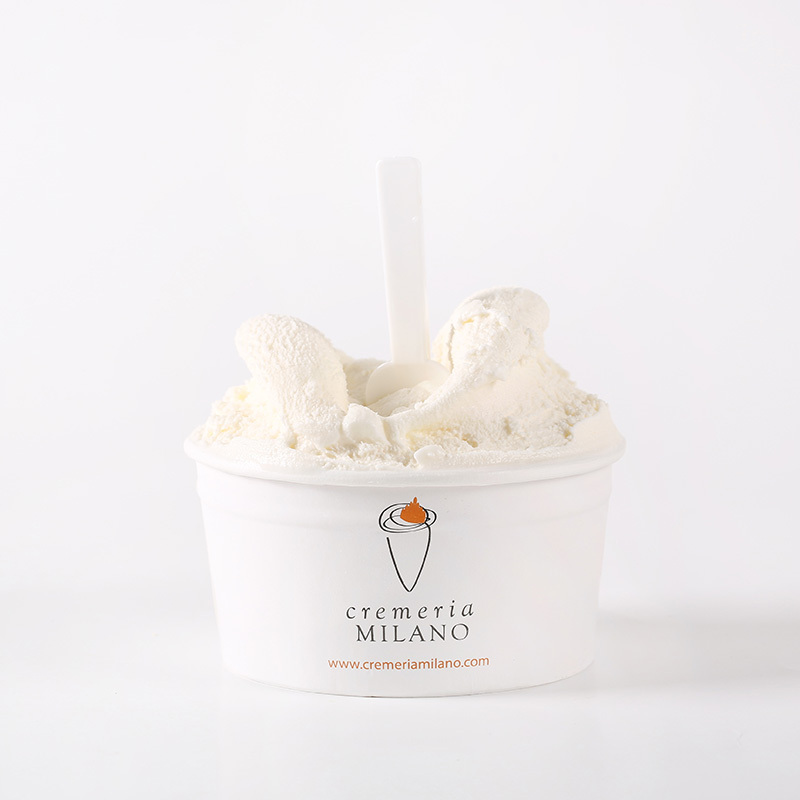 The recipe of our light and refreshing yogurt ice cream is simple: whole milk, fresh yogurt, sugar and cream. 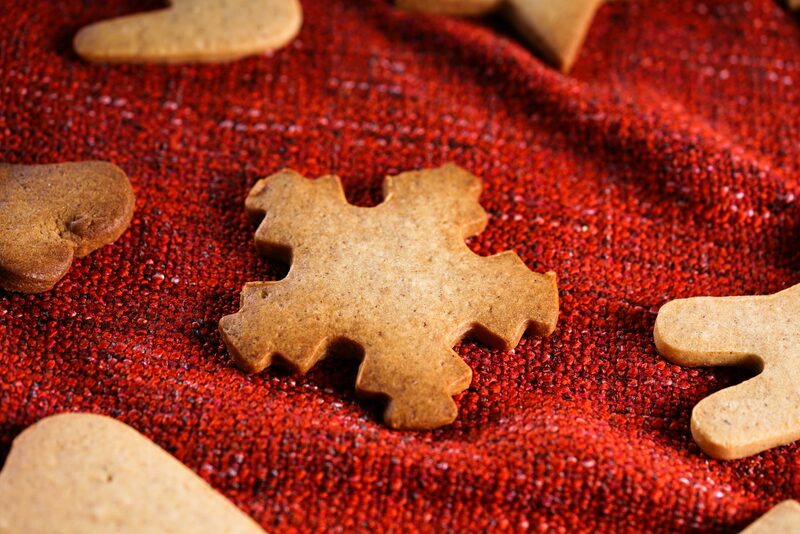 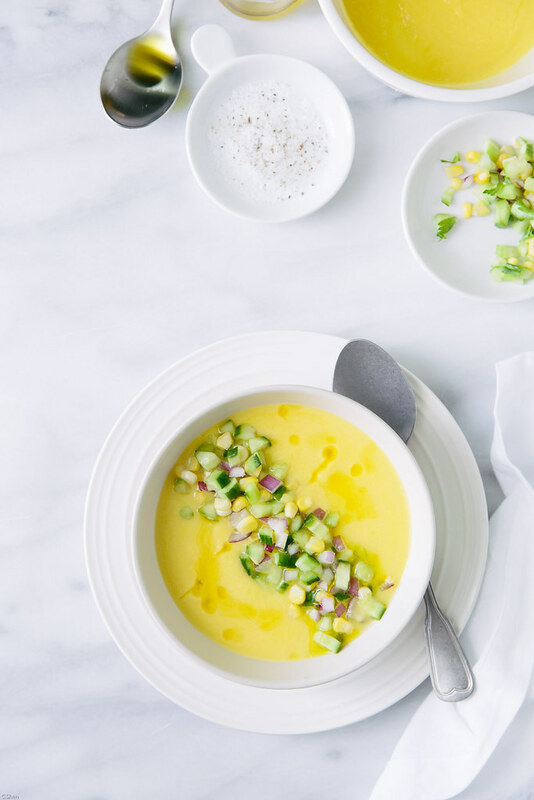 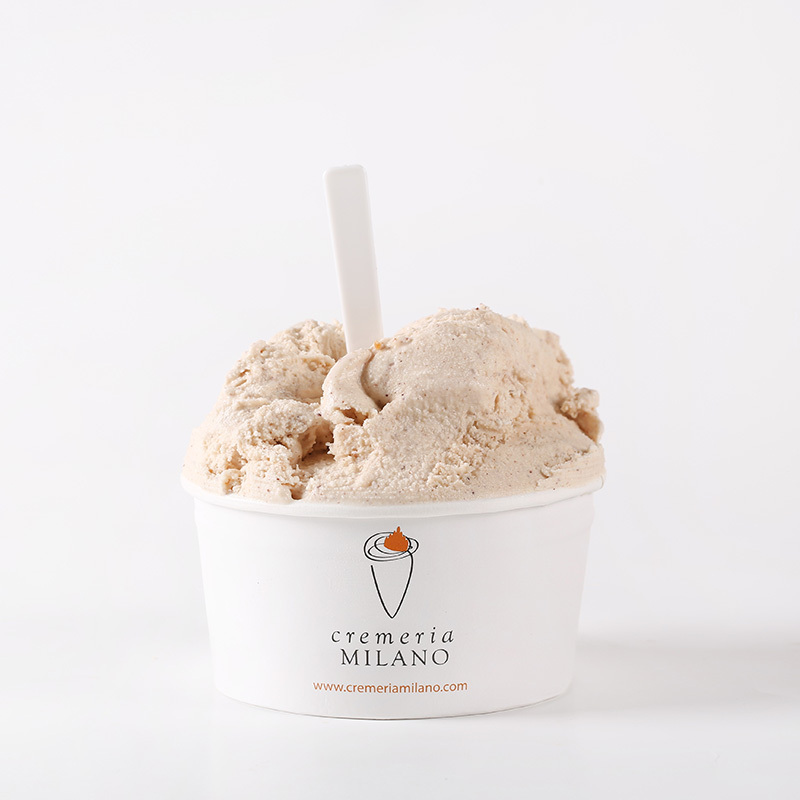 Its neutral flavor is great for matching with any other flavor. 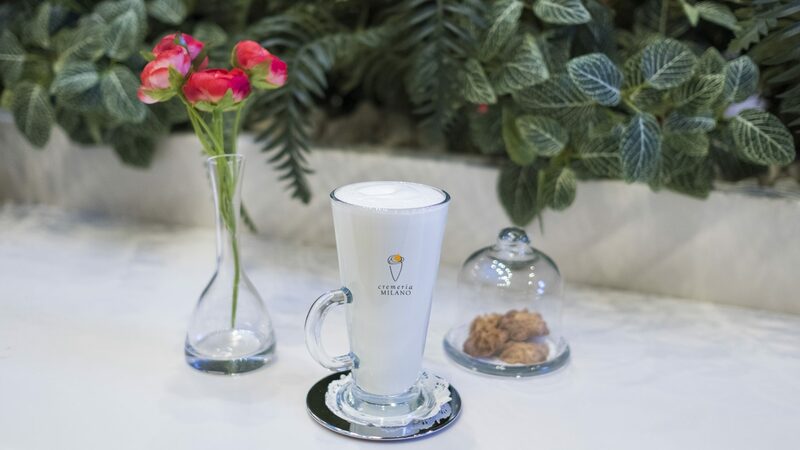 An all year long delicious type made with whole milk, sugar, cream and wonderful Turkish pistachios. 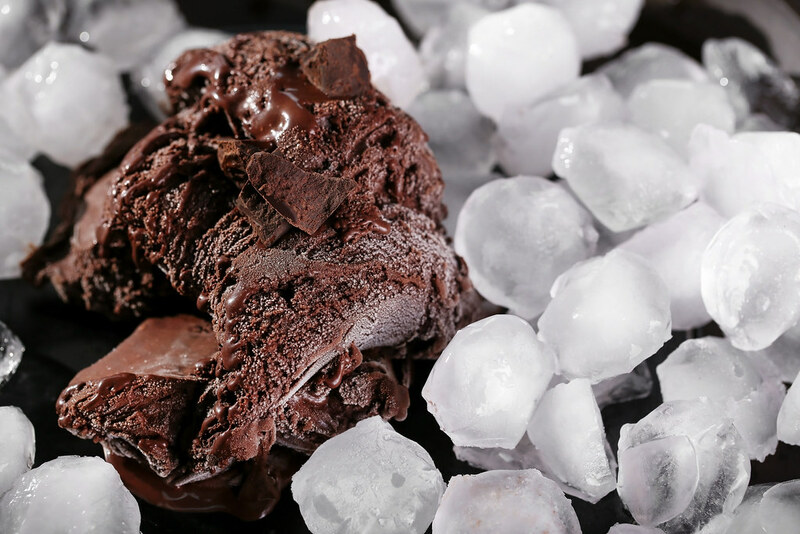 The vegetation of Chios, a small island of Greece in the Aegean Sea, is host to a tree called Mastice, which grows only there. 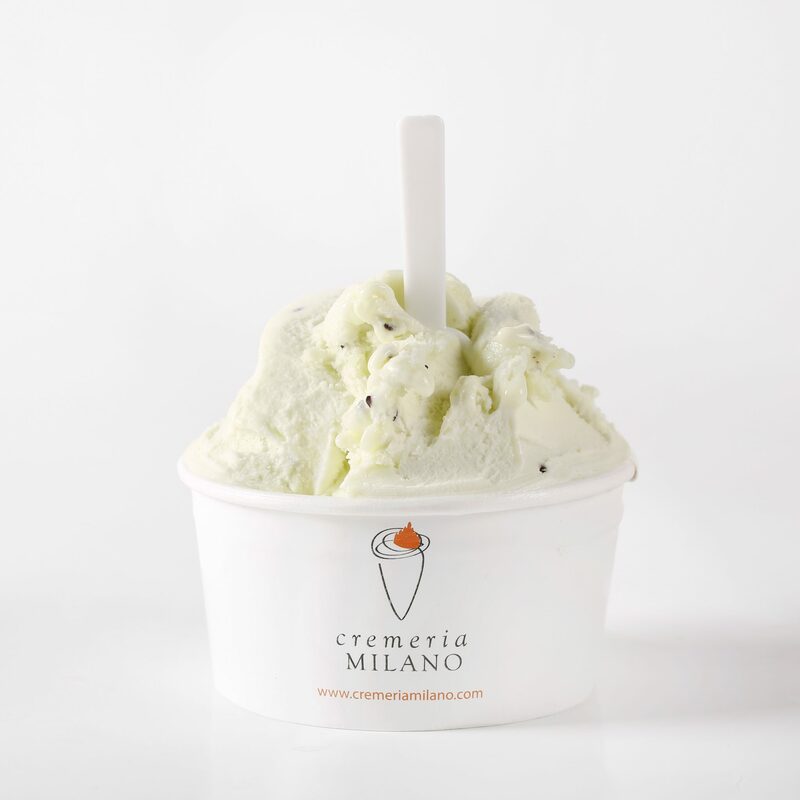 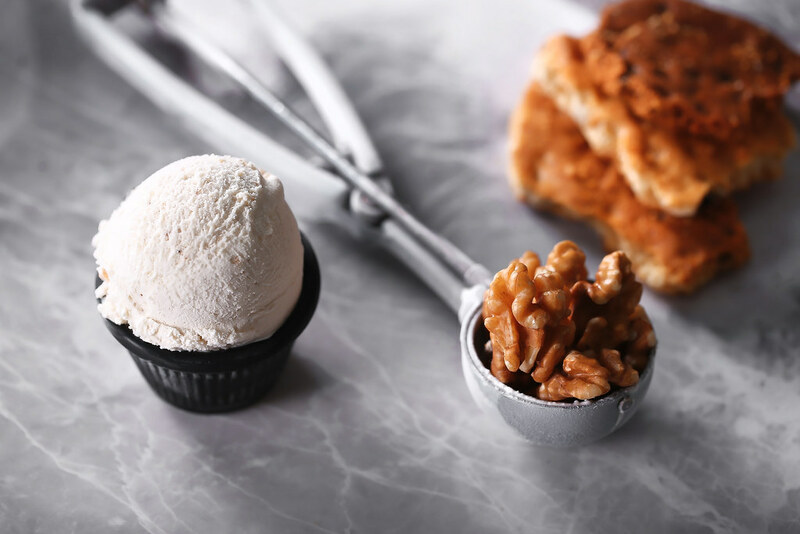 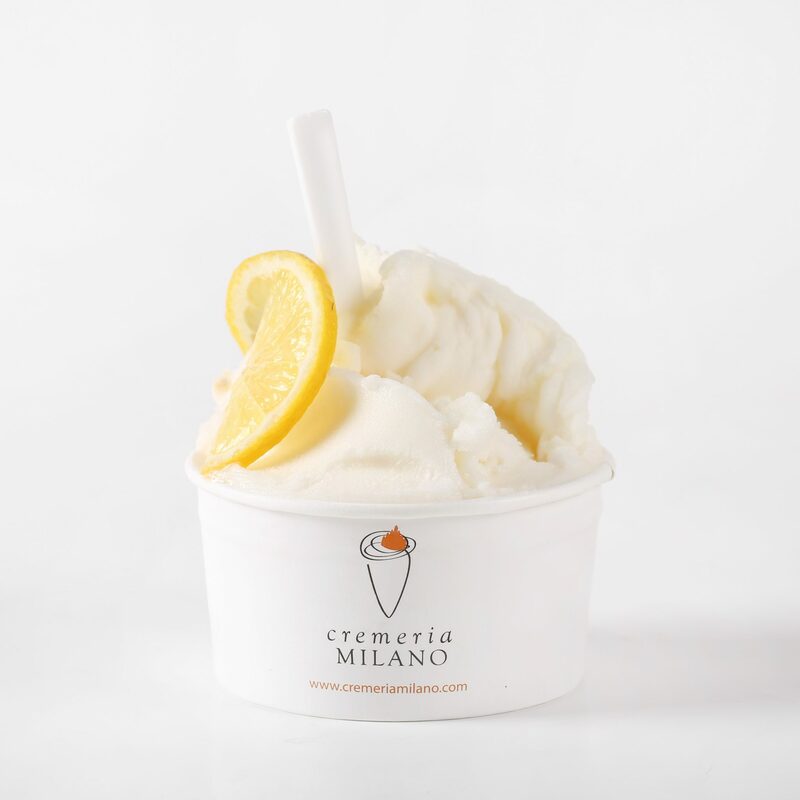 This type of the creamiest ice cream is prepared with whole milk, sugar, cream, egg yolk and the unique mastic flavor. 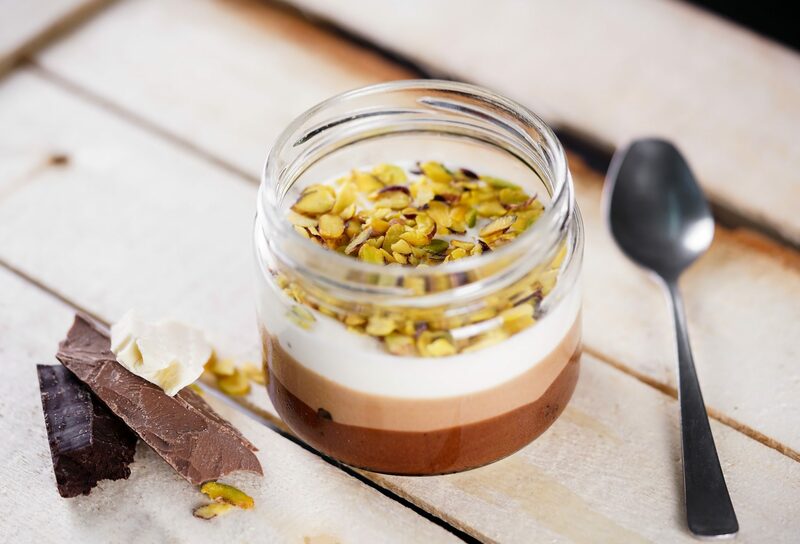 An unforgettable combination of whole milk, sugar, crème fraiche, wonderful Turkish hazelnuts, bitter cocoa and egg yolk. 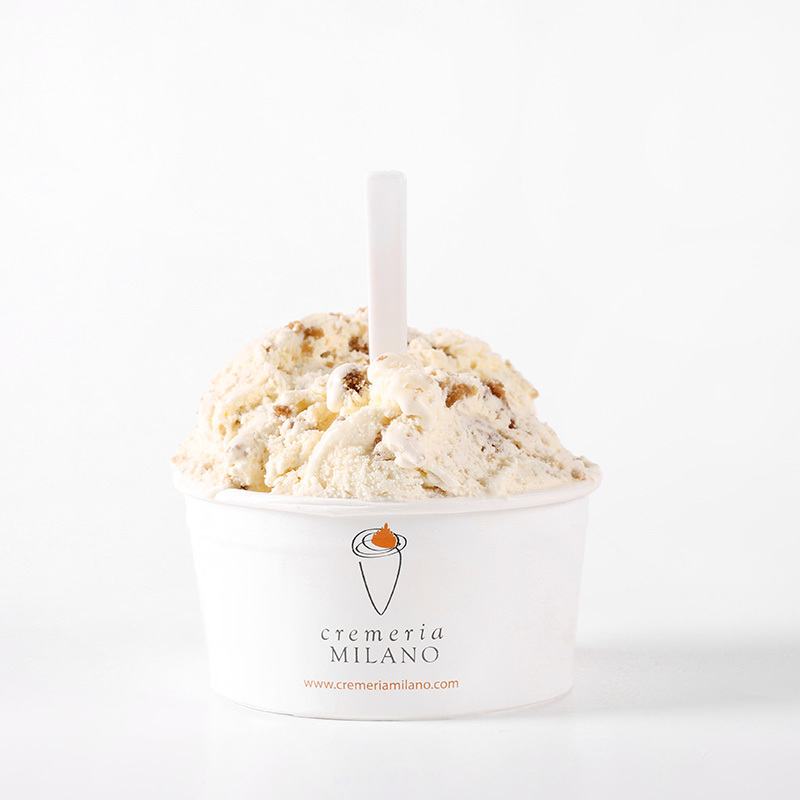 Whole milk, sugar, cream, caramelized sugar. 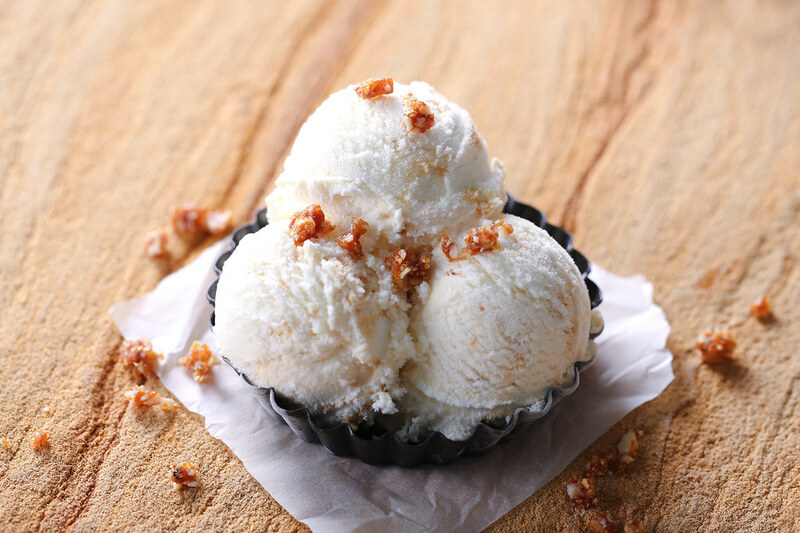 You will have a feeling of tasting a delicious caramel candy but fresh and creamy. 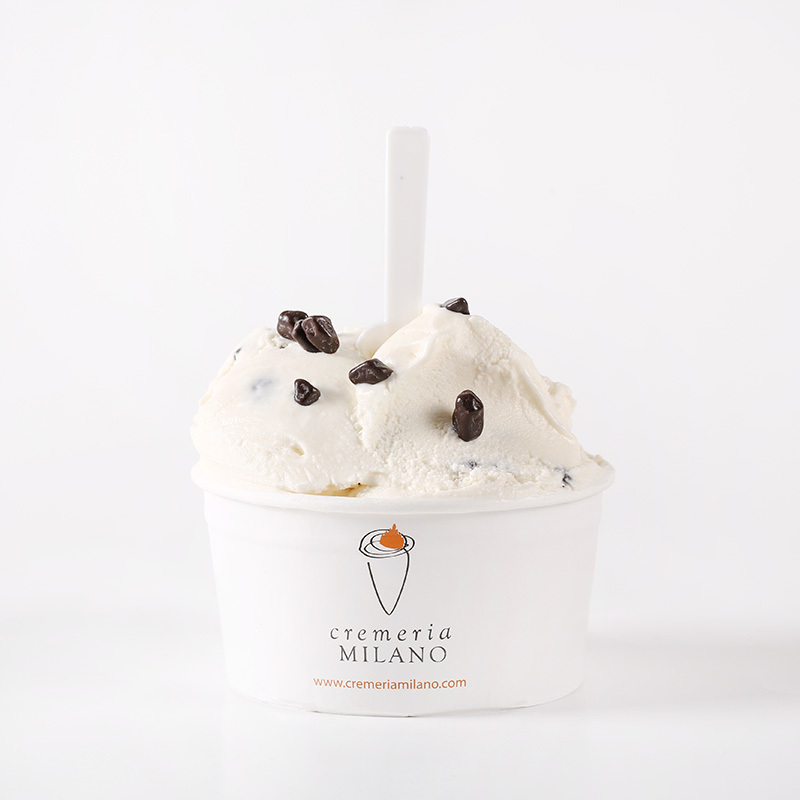 A unique blend of the freshness of milk and the bitter chocolate. 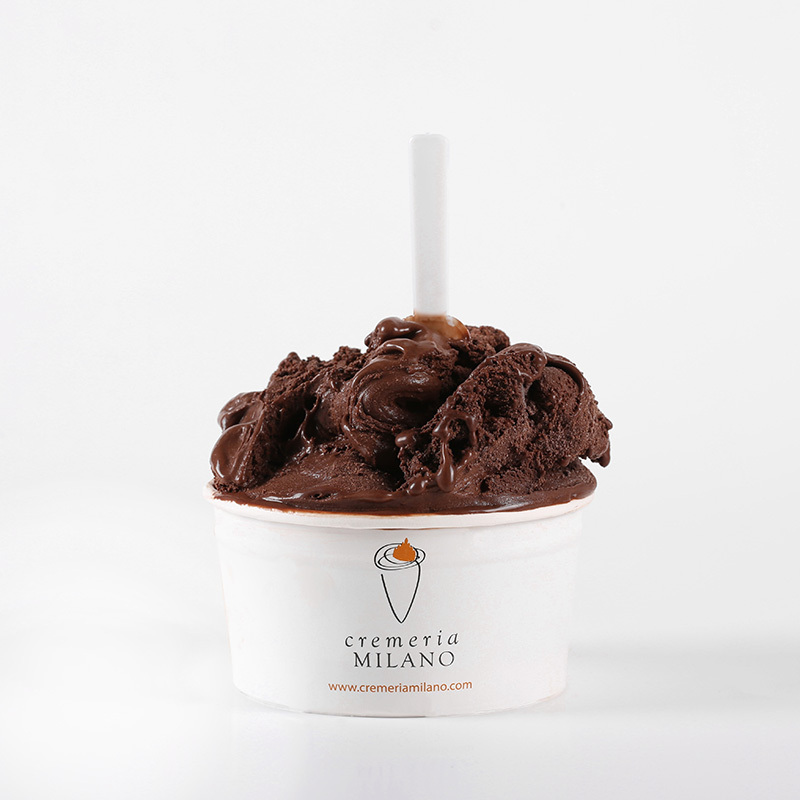 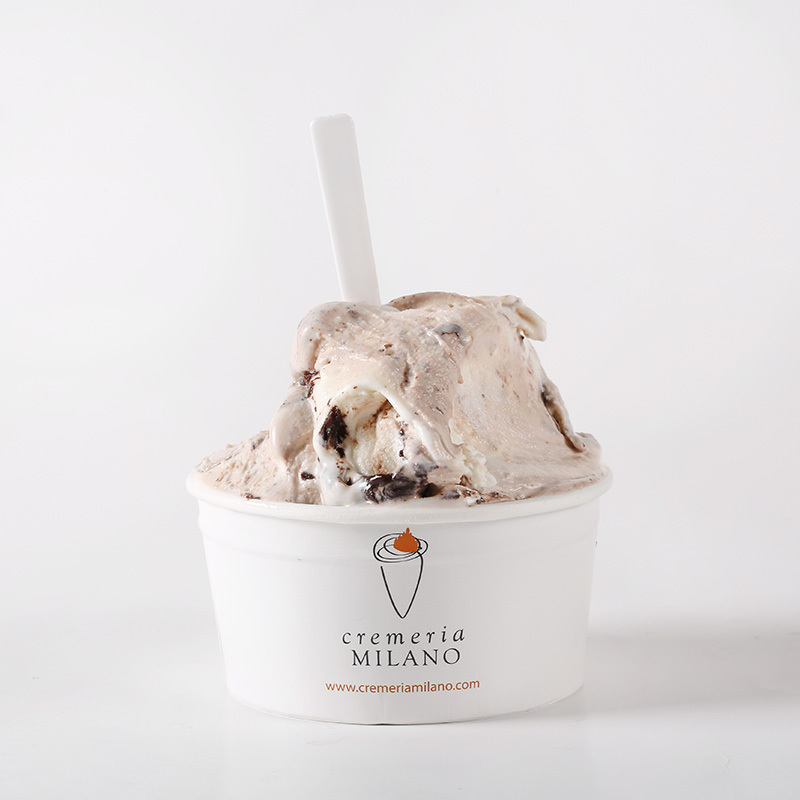 Prepared with the creamiest ice cream and plenty of dark chocolate, Stracciatella will give you the feeling of tasting a creamy/vanilla soft chocolate. 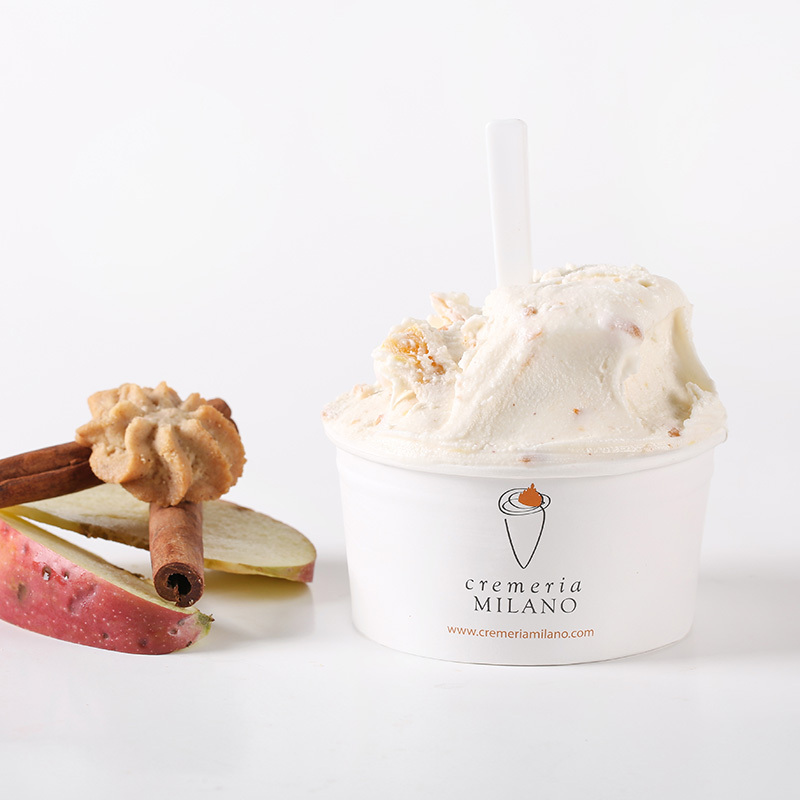 The best cinnamon combined with basic ice cream ingredients gives a unique and extraordinary taste to our ice cream. 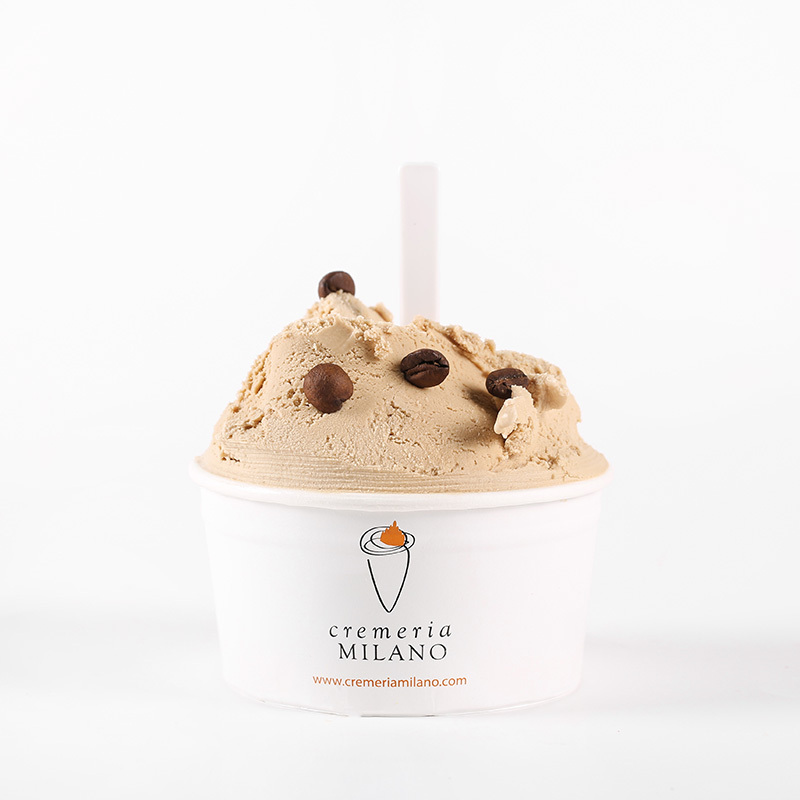 A type prepared with whole milk, sugar, cream, egg yolk, ladyfinger, espresso and cocoa. 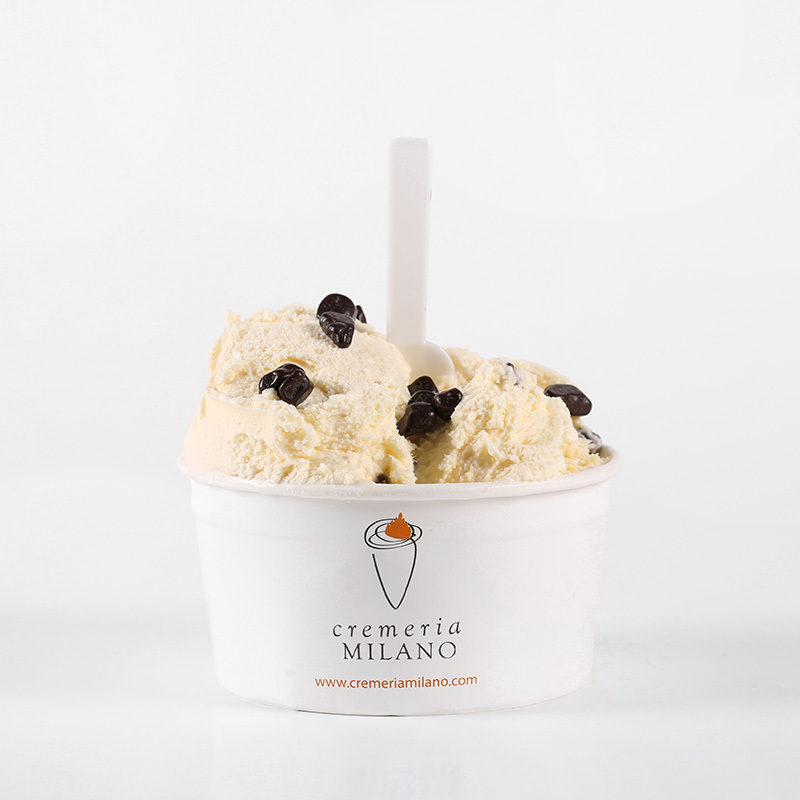 Absolutely authentic taste of famous Italian dessert. 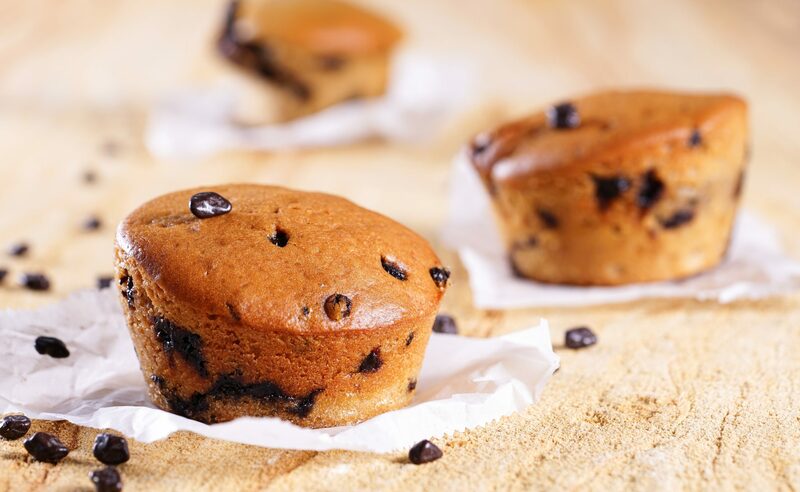 This type contains gluten and therefore is not suitable for celiac patients. 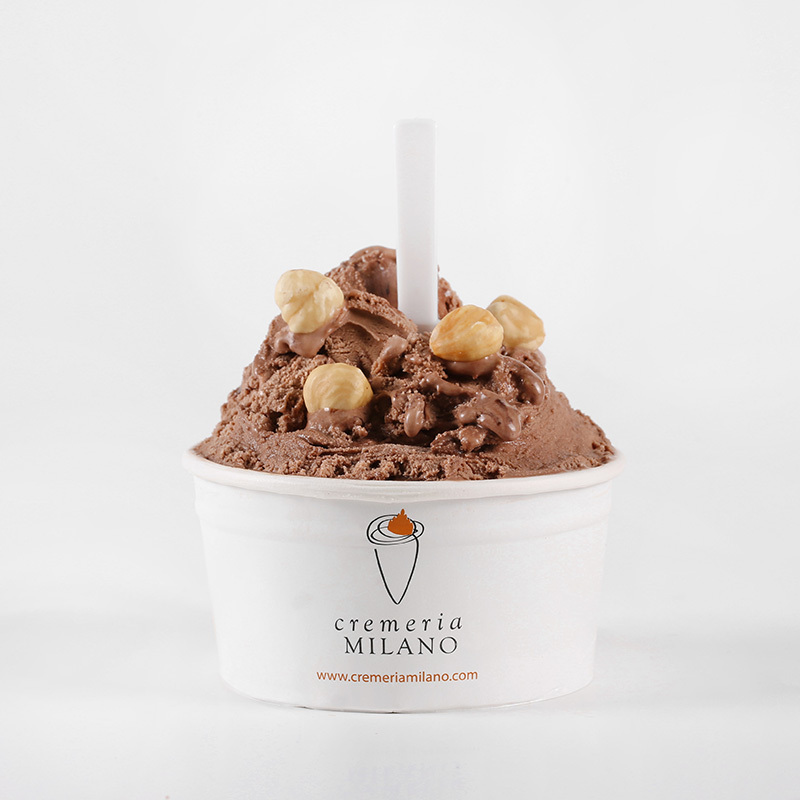 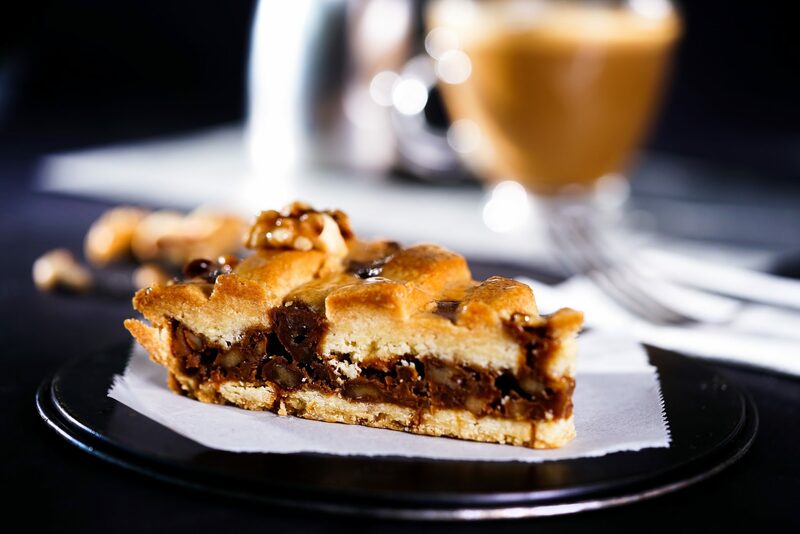 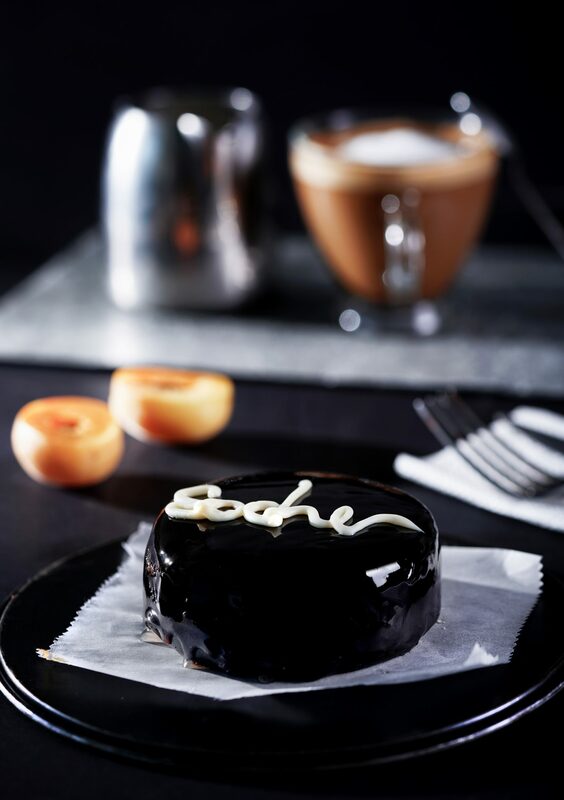 An exquisite taste based on whole milk, sugar, homemade biscuits with chopped chocolate, egg yolk, hazelnuts and cocoa. 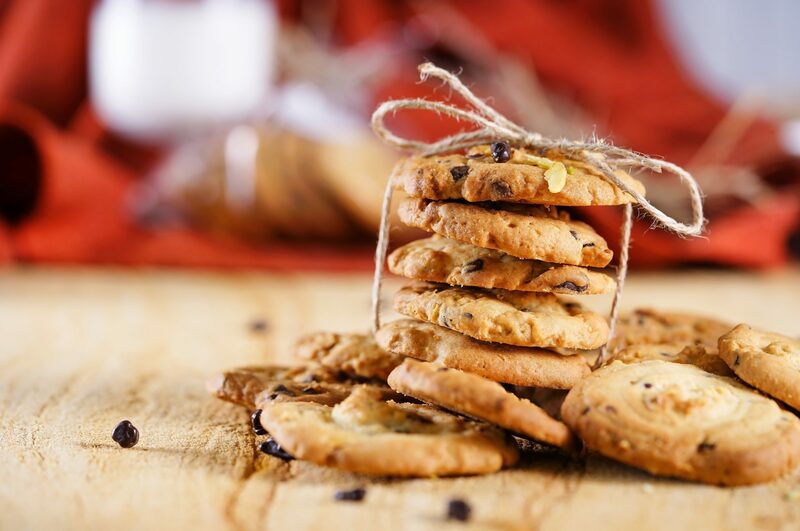 This type contains gluten and therefore is not suitable for celiac patients. 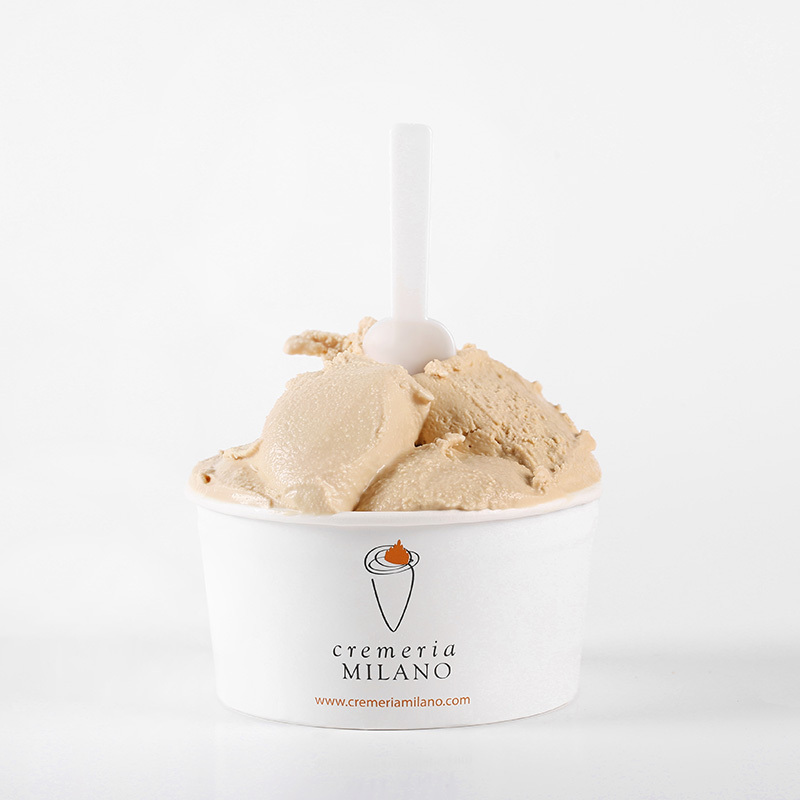 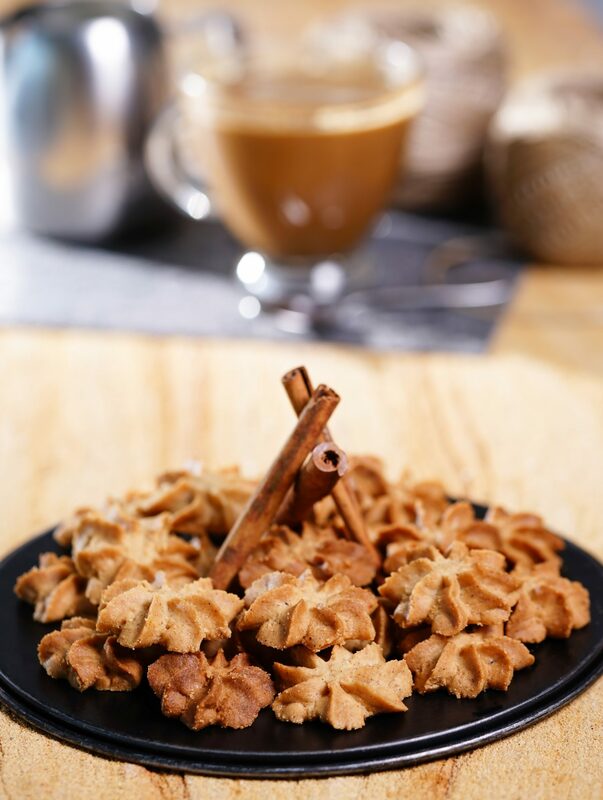 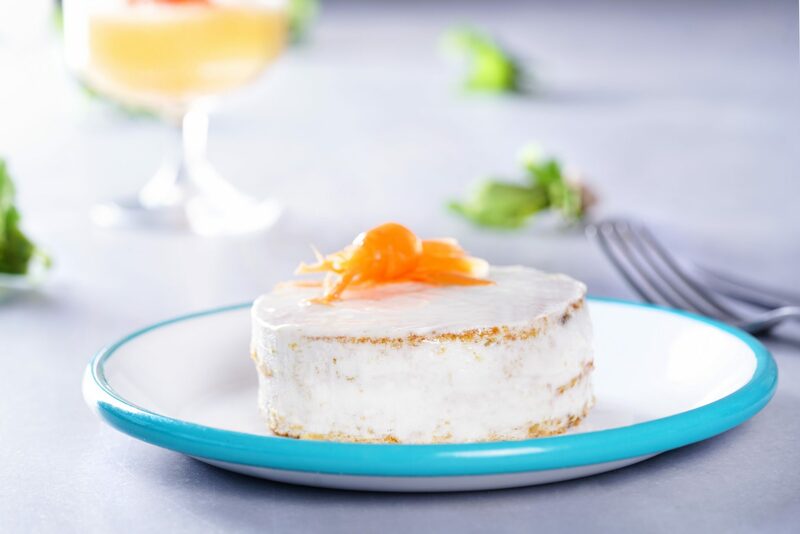 A creamy mixture of ginger, cinnamon and orange candied by us. 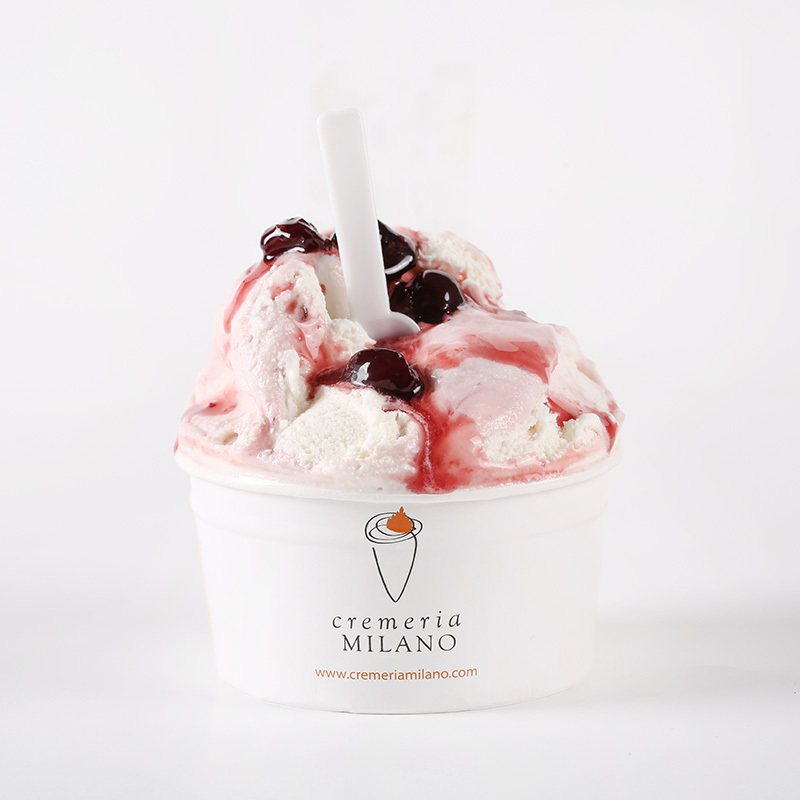 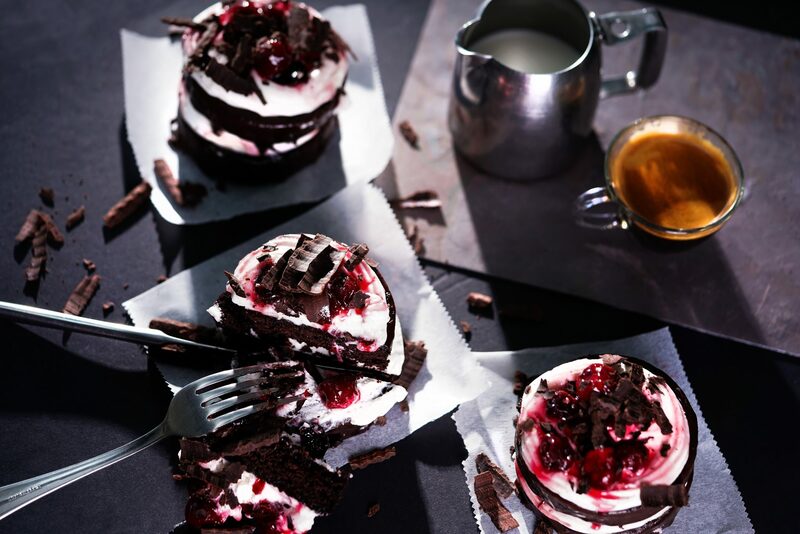 We combine the best cherries with cocoa to reach a creamy, fresh and insatiable taste for a sensational and inimitable result. 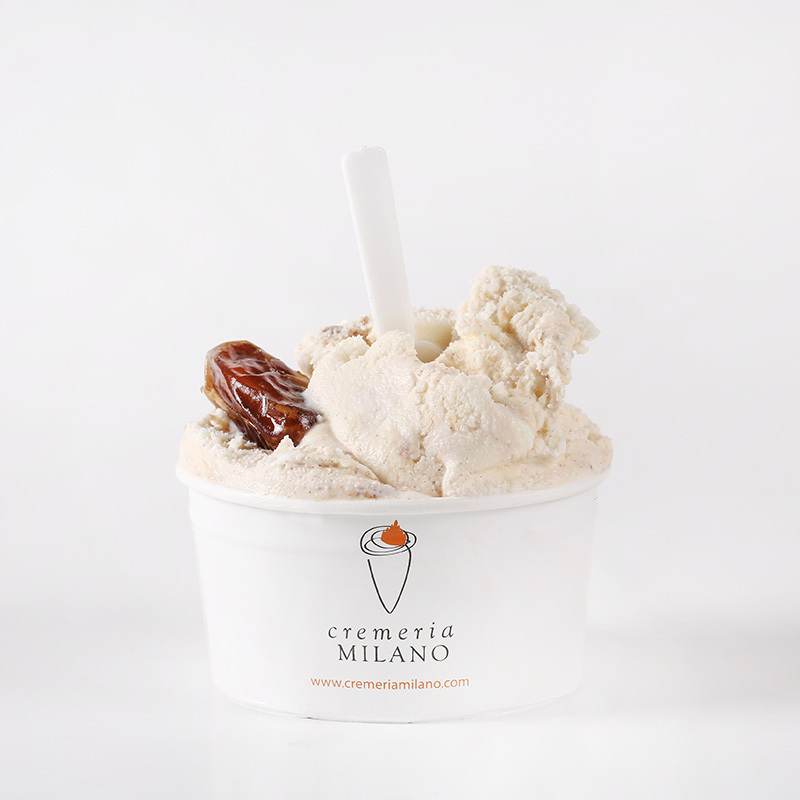 Cream meeting the flavor of dates. 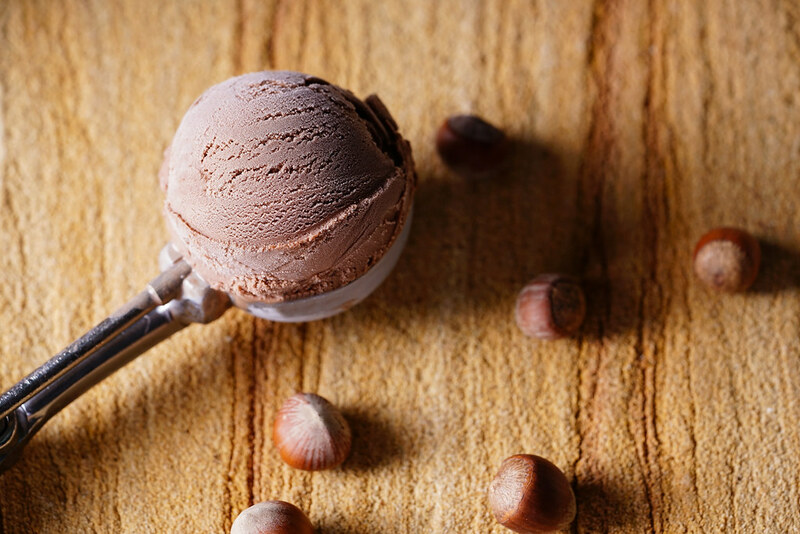 It is inevitable to close your eyes while tasting this flavor. 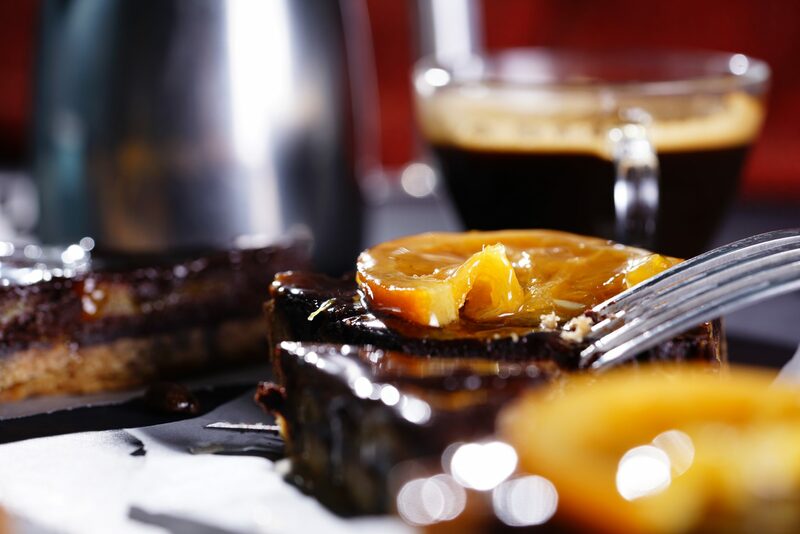 We choose the best date palms directly from North Africa. 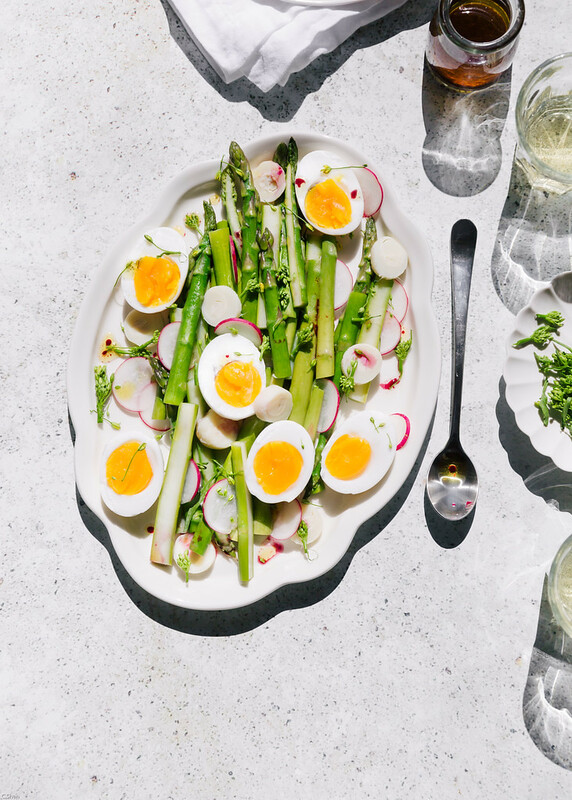 Fresh and insatiable. 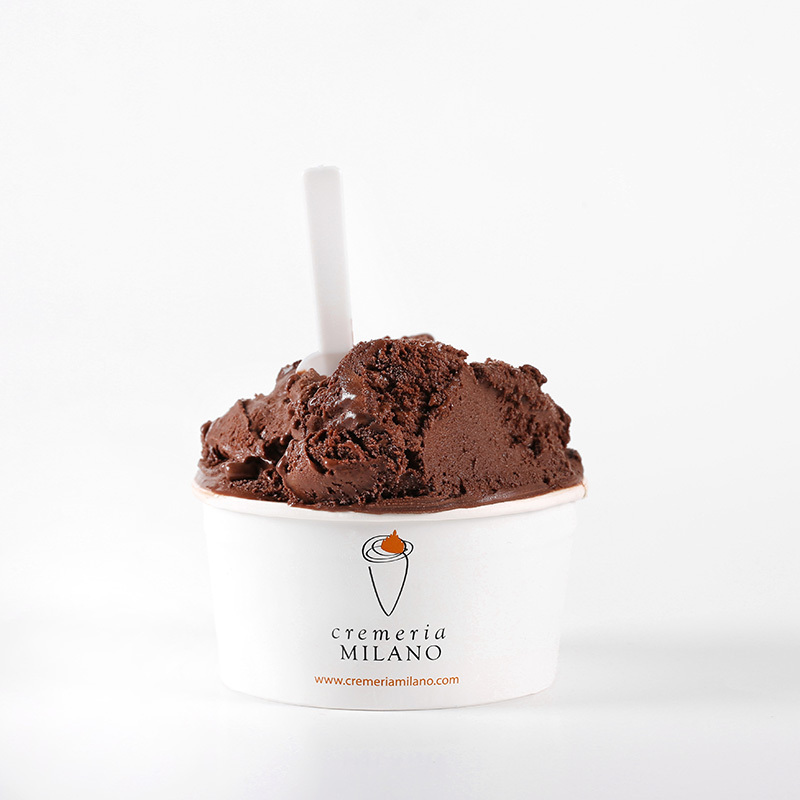 The bitter cocoa from the best trees combined with whole milk, cream and egg yolk gives the distinctive taste of the dark chocolate. 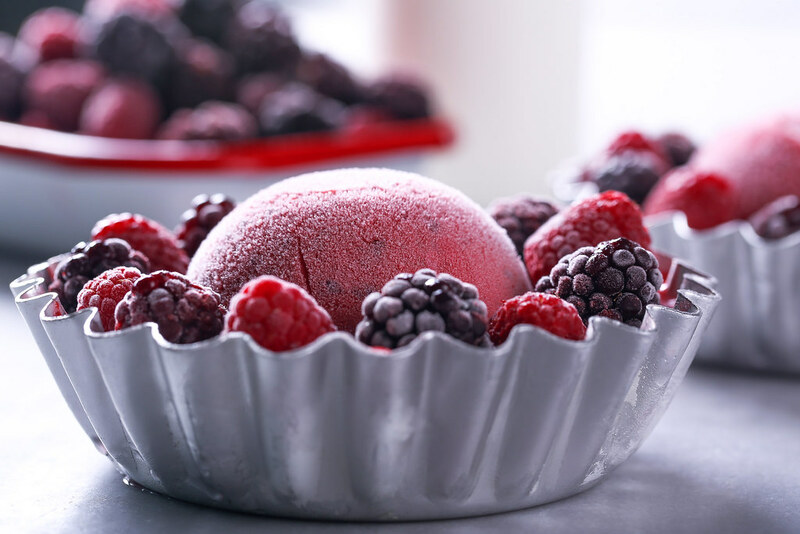 This fresh and sour sorbet is perfect for refreshing the palate. 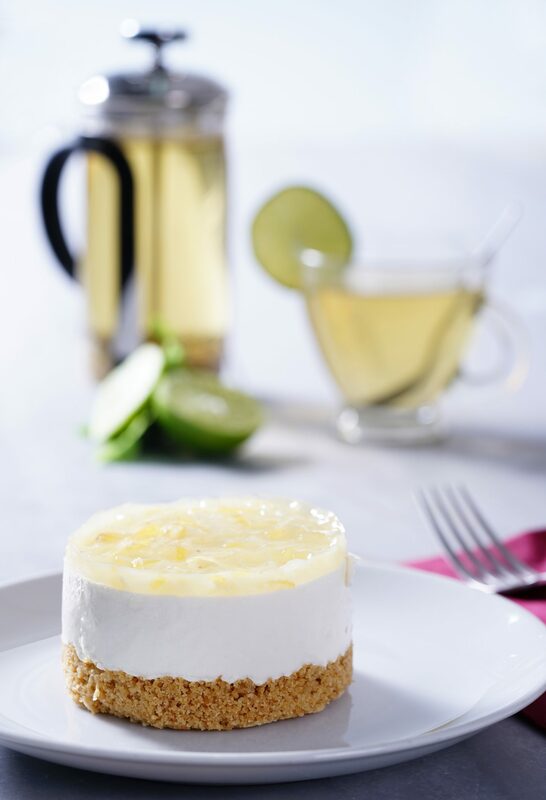 We add the juice of the best lemons to the base recipe with water, sugar and fiber for a slaking taste; recommended after meals for a good digestion. 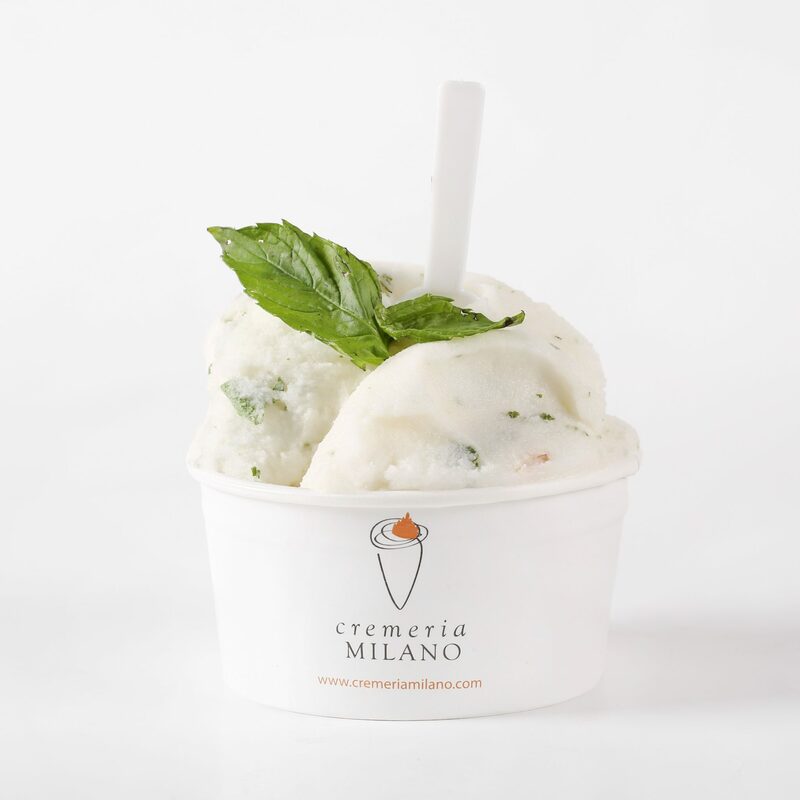 Mint and lime, the ingredients of this sorbet, comes from warm countries, so you can enjoy in this flavor all year long. 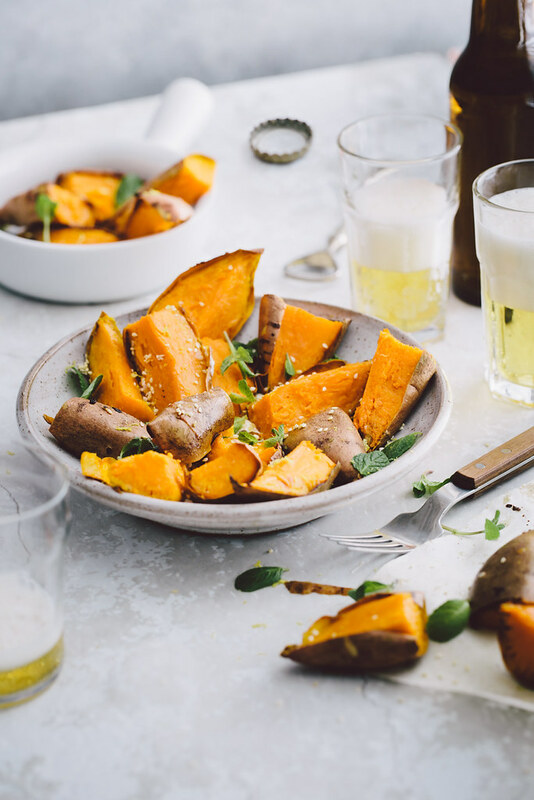 It is a well-known fruit all over the world and grown in wide lands in warm countries, but we prefer the ones from South Africa. 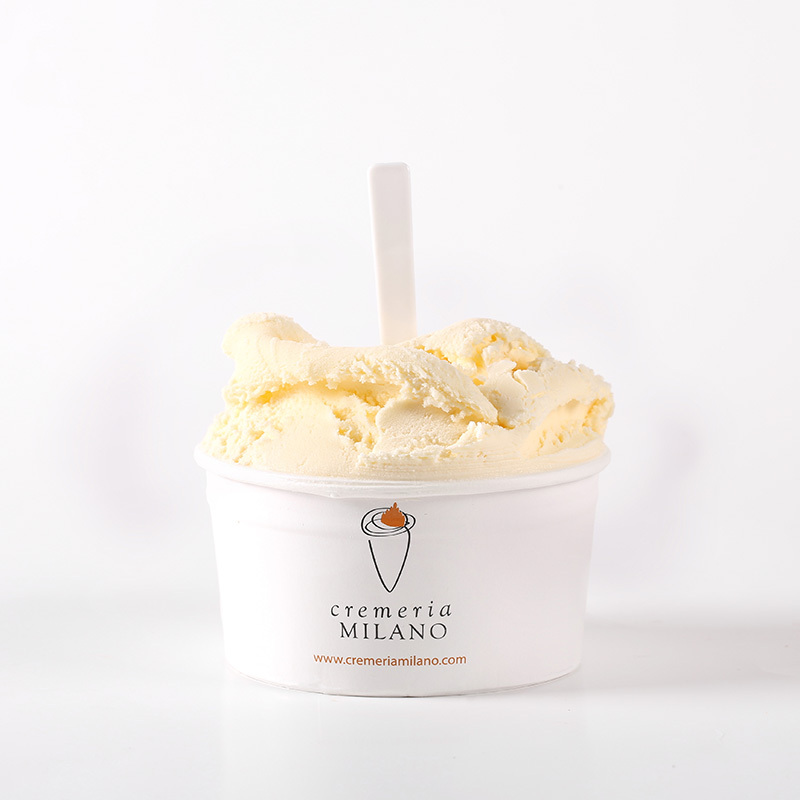 Excellent as a digestive and for low calorie intake, you can enjoy pineapple sorbet mainly from June to December. 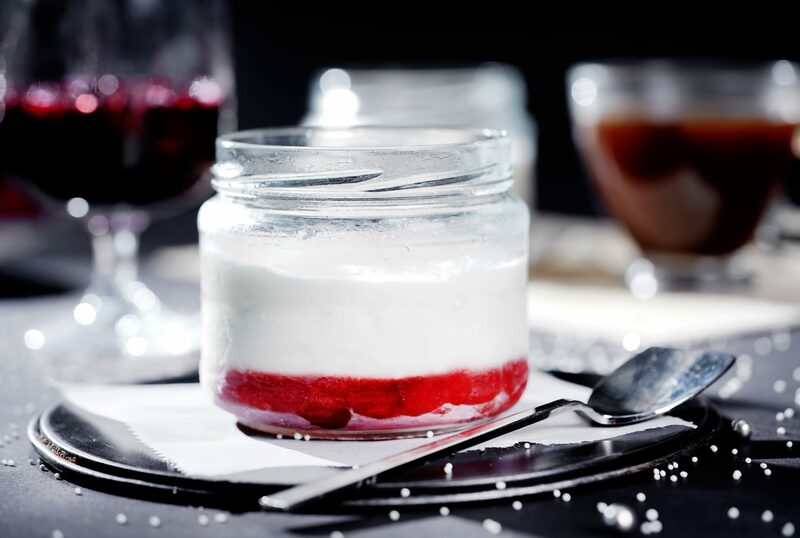 Another product, in our opinion, that can only be prepared with fresh fruits. 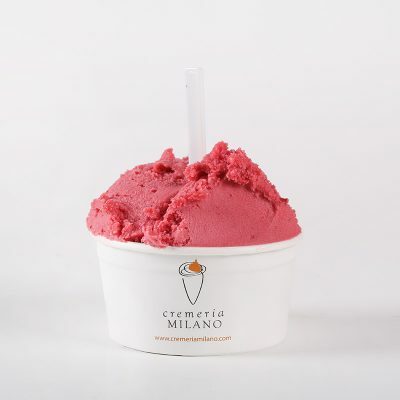 You can enjoy this taste between July and August. 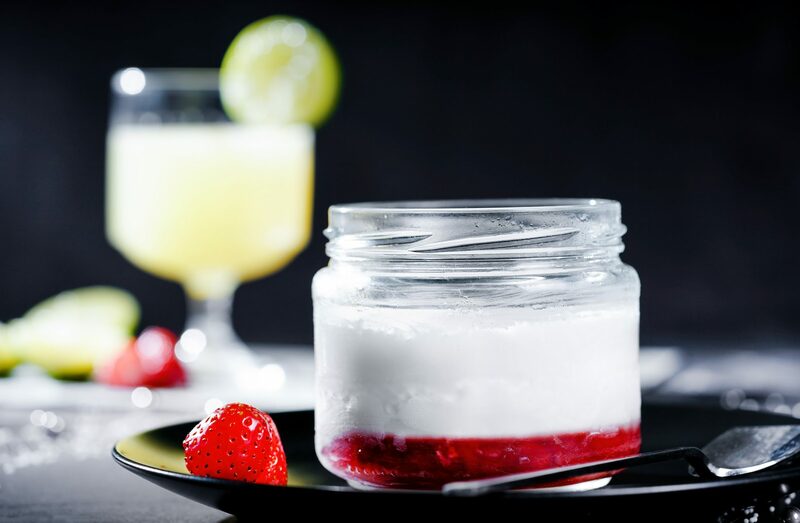 Watermelon is a typical fruit of the tropical and warm zones. 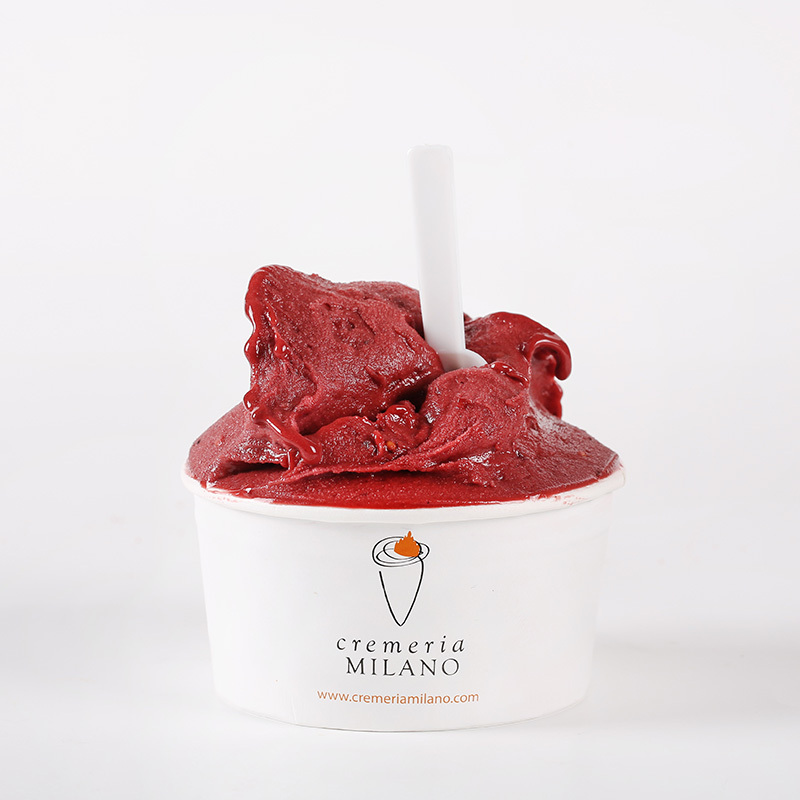 We only use the best fruits to produce a unique sorbet; you can enjoy it between July and August which is ripen period of the fruit. 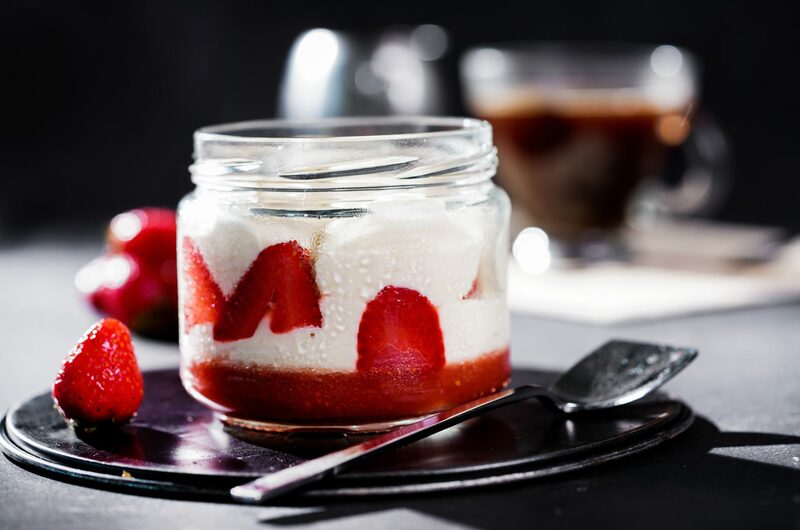 Depending on the season we buy the best strawberries to prepare a classic but unique taste.